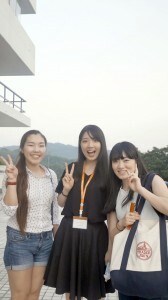 It’s hard to believe today was the last day of the program! Three weeks have gone by far too quickly. The day began with the culmination of all the cross-cultural workshops. 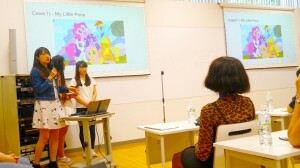 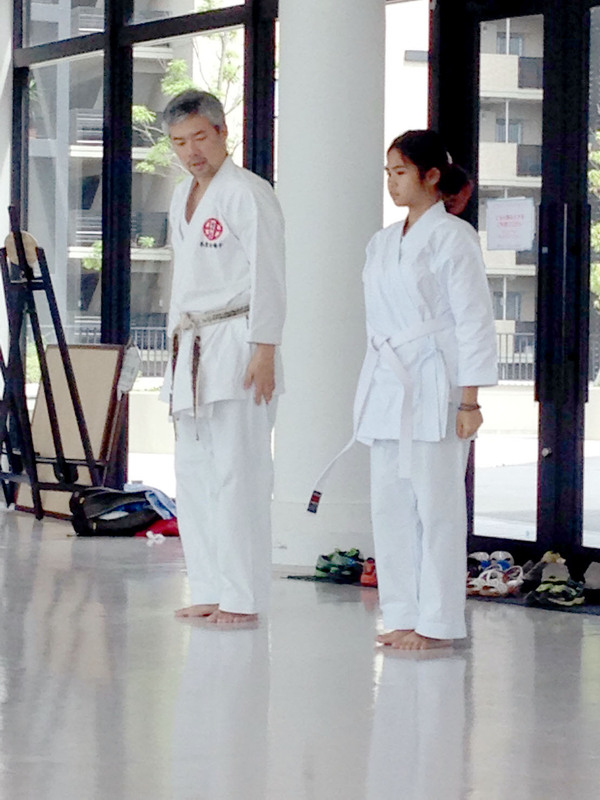 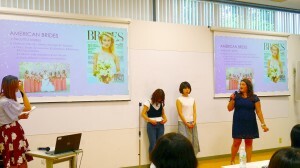 Audrey-sensei was unfortunately not able to make the presentations, so Nishikawa-sensei stepped in to facilitate them. 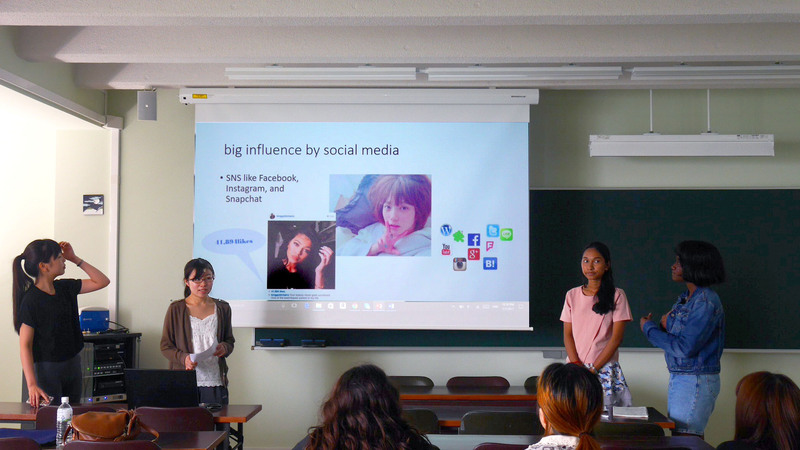 Despite some technical difficulties, students gave a great showing, with all the presentations showing impressive improvement from just two days ago when the groups were given feedback. Immediately following the presentations, we began the closing ceremony. Our MC for the event was SSIP intern Kanae Ono. 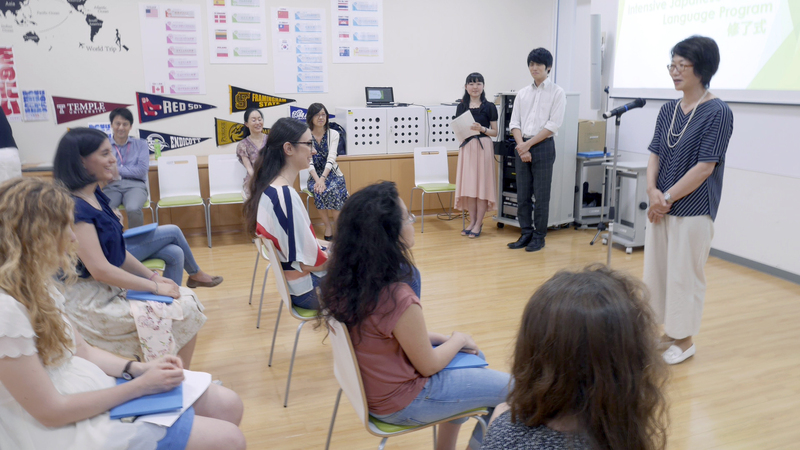 President Kaneko came to present their SSIP completion certificates to each student, and student representative Tabetha Zapata-mitz gave a speech about her experience during SSIP. 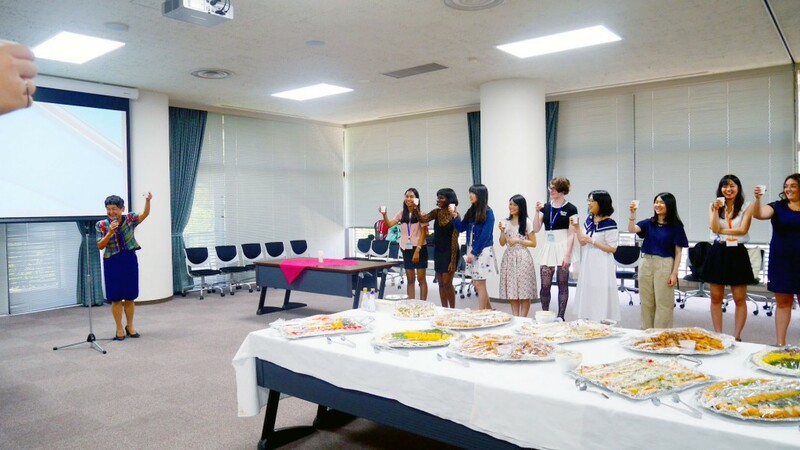 After the closing ceremony we moved to a room in the Administrative Building for the building party. 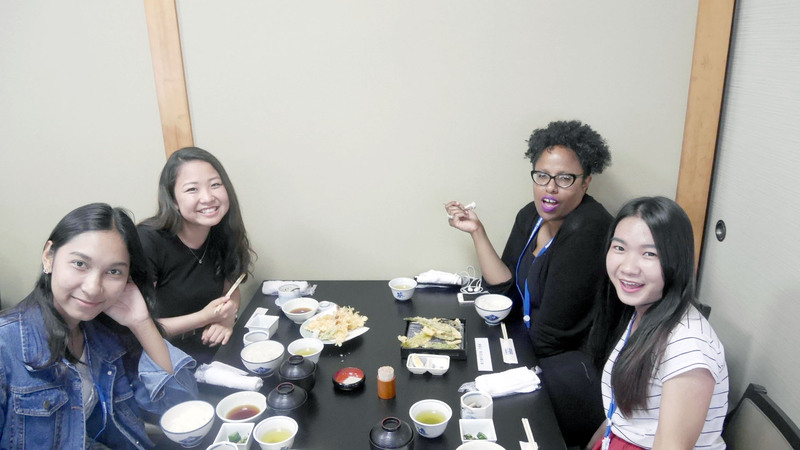 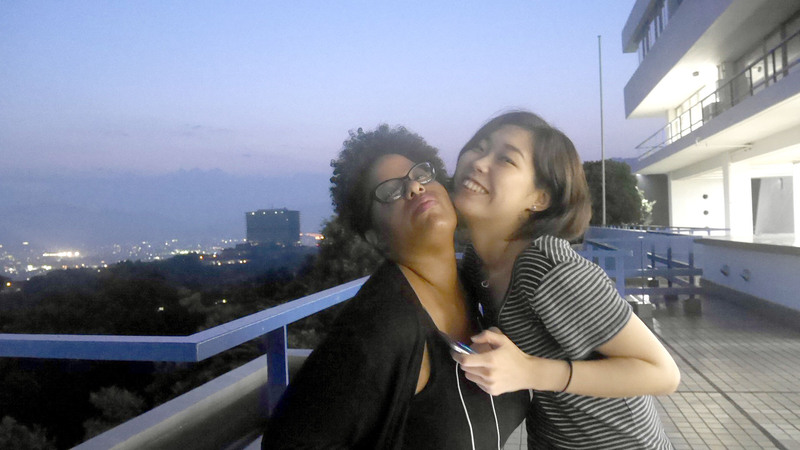 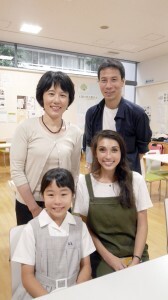 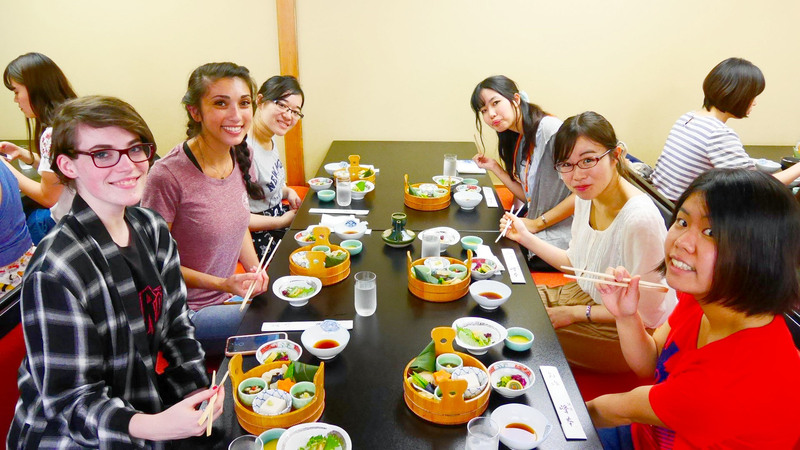 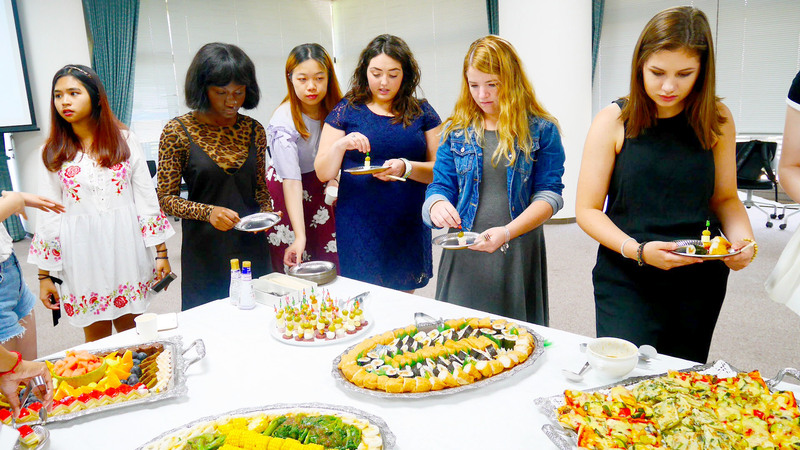 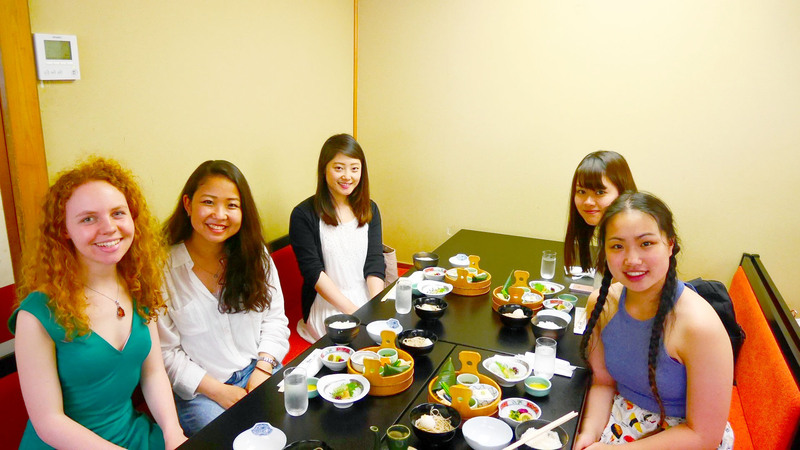 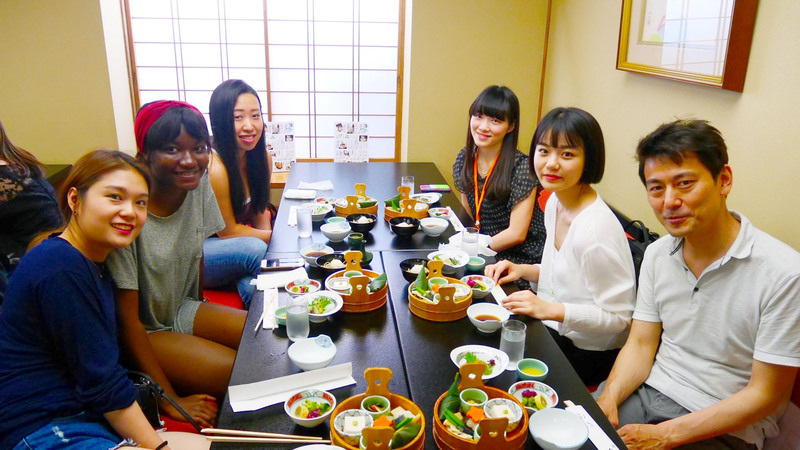 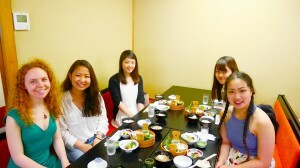 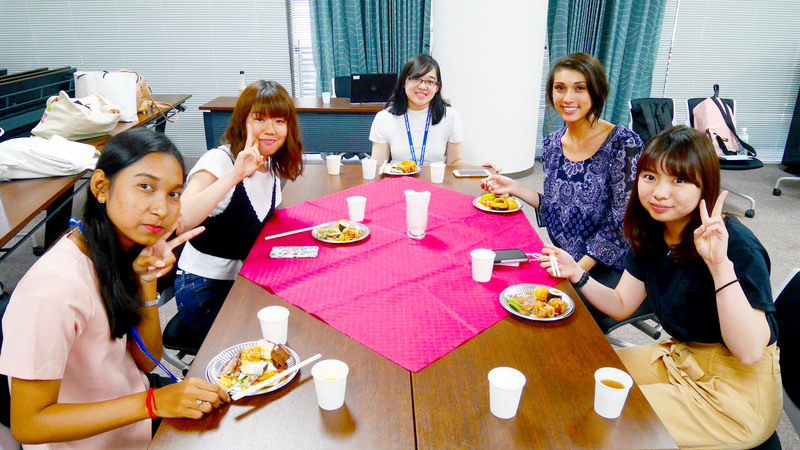 We were joined by other Showa students, faculty, and staff for good food and even better company. 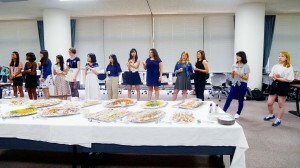 Chancellor Bando gave one last toast to celebrate the conclusion of the program. 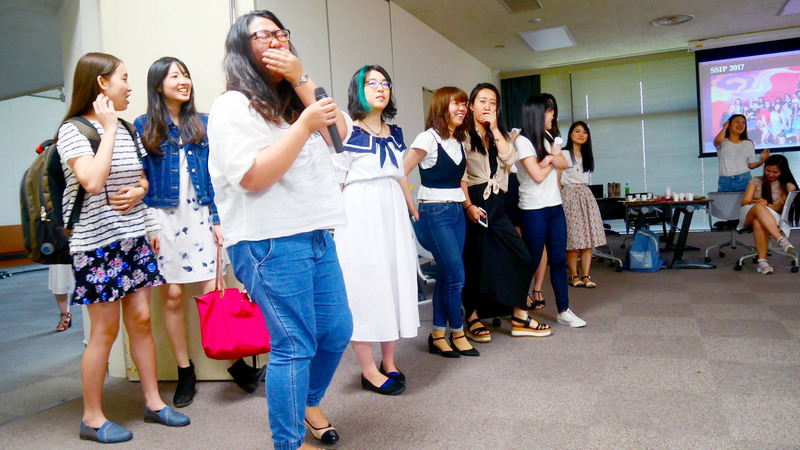 At the end, the microphone was passed around as everyone gave a last farewell, finishing up with Yamazaki-san’s closing remarks. 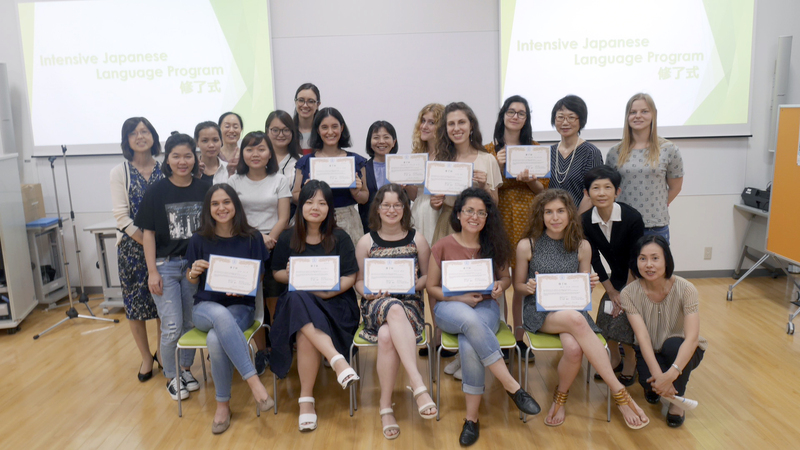 It’s been a fantastic three weeks with the SSIP participants, both international and from Showa, as well as the CIE staff and interns that helped make it happen. 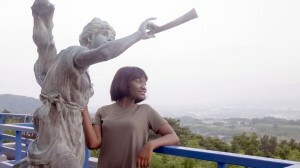 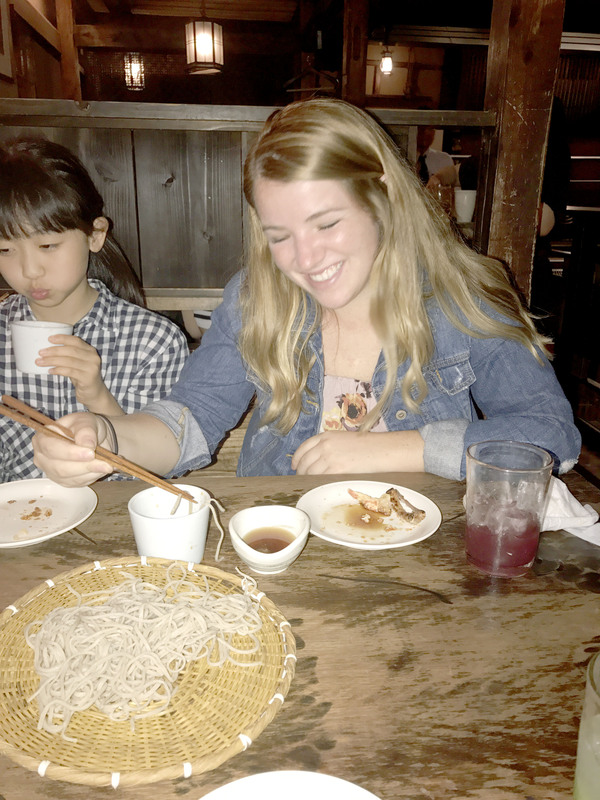 People made lasting relationships and connections with people from all around the world. We wish everyone a safe trip back home, and hope that they will return to Japan sometime in the future! It was a sweltering hot day, and the SSIP students, interns, and staff woke up early to clean up, pack up, and move out of Tomei Gakurin. 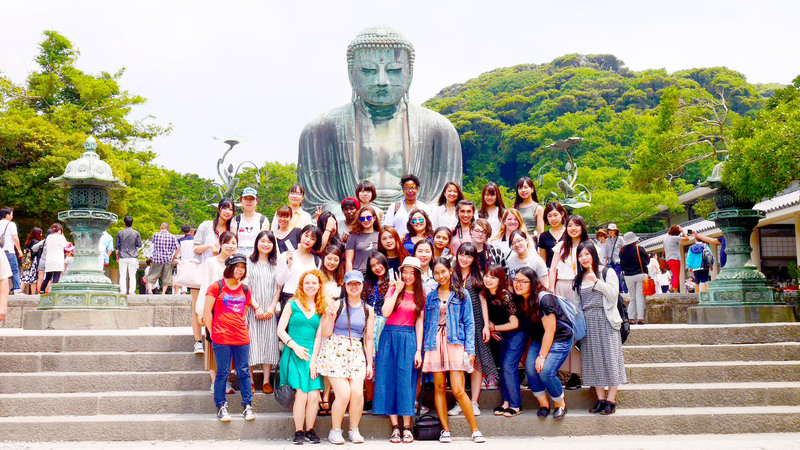 We all piled onto the bus and were on our way to Kamakura! Our first stop in Kamakura was to the Kōtoku-in Temple, famous for housing the Great Buddha (daibutsu). 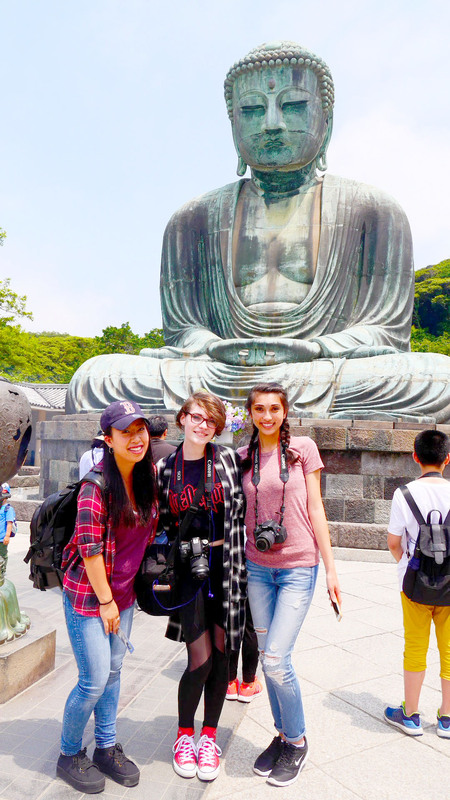 The Great Buddha towered over our group, and was certainly an impressive sight. For just twenty yen, some students took to opportunity to actually enter inside the Great Buddha! If it was hot outside, the inside of the statue was like a sauna; but it was definitely worth the glimpse. 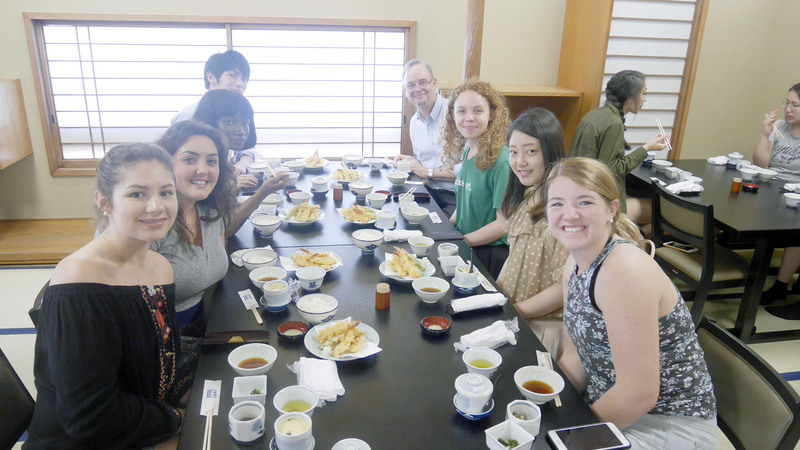 For lunch we headed to the restaurant named Minemoto for traditional Buddhist cuisine (shōjin ryōri; literally, “devotion cuisine”). 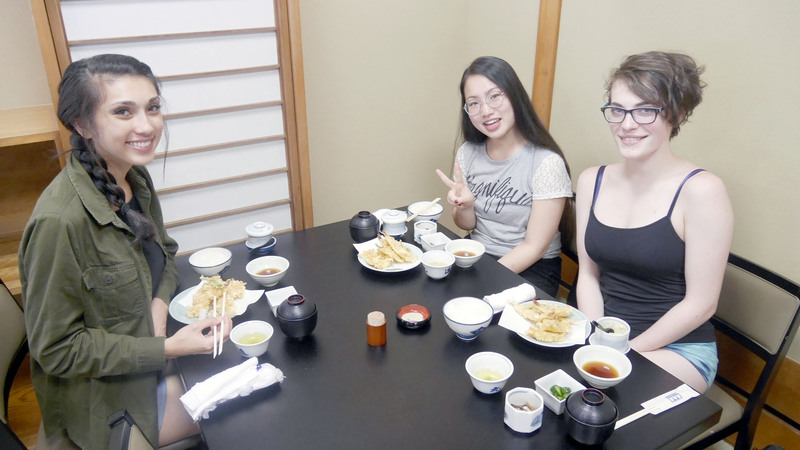 Buddhist cuisine is based on the philosophy of non-violence and respect for all life, and is therefore vegetarian or vegan. 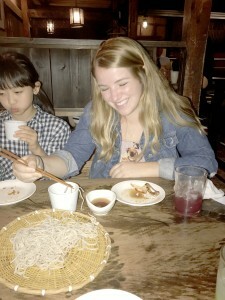 Despite the lack of meat, however, the food was both delicious and beautiful! 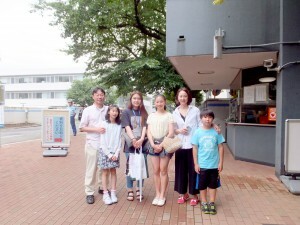 Once we were done, we walked to Tsurugaoka Hachimangū, the literal and figurative center of the city of Kamakura. 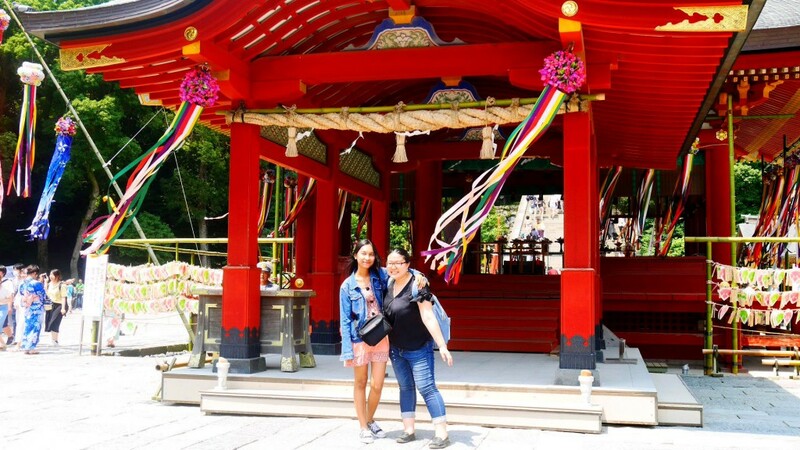 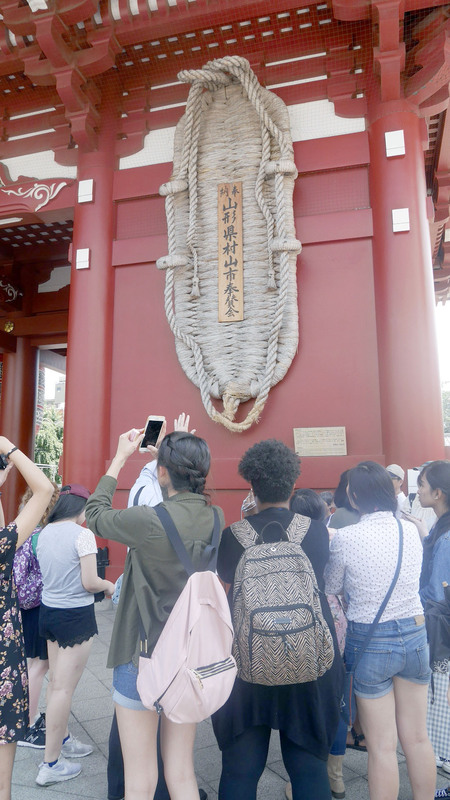 Students wandered on the shinto temple grounds and admired the beautiful architecture such as the large red torii gates. 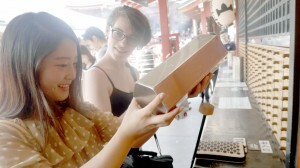 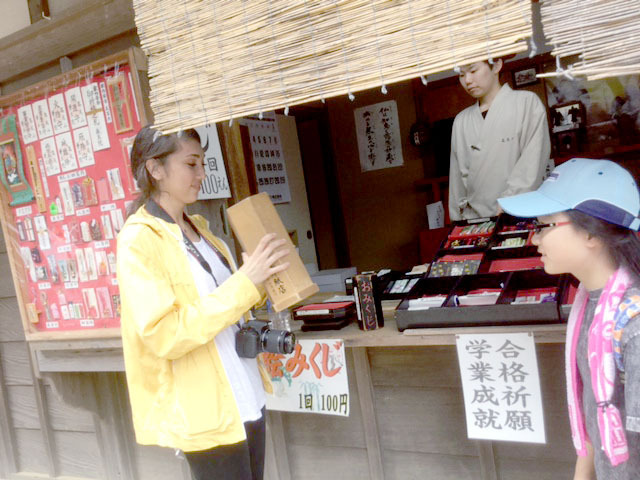 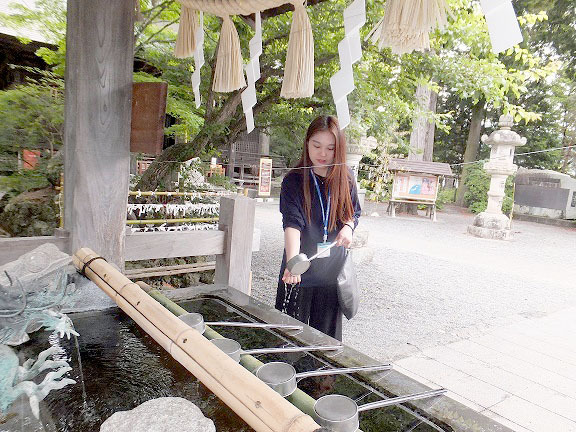 Some students took the chance to buy omamori and pray at the the shrine. Once we were done at Hachimangū, it was time to get on the bus and head to Ohashi Kaikan, our final accommodations for the program. 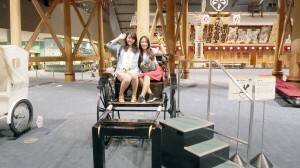 It was a quiet ride back, with many people taking the opportunity to rest and nap after a tiring but fun day. 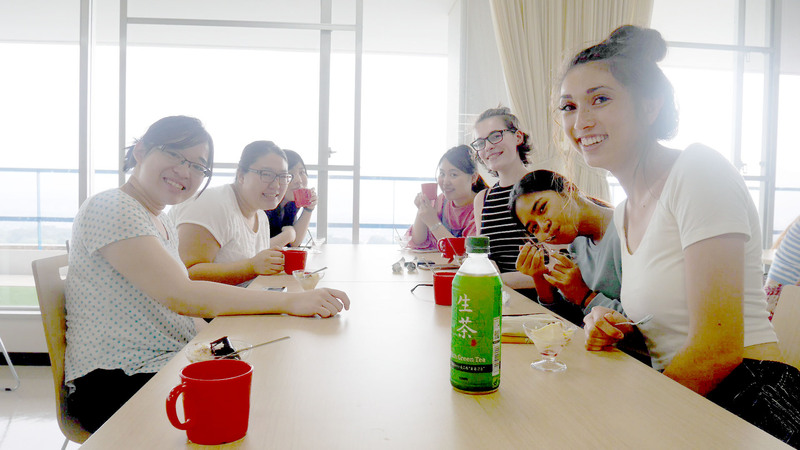 Another day dawned on SSIP, as everyone got up for breakfast together before getting into their groups to work on their final presentations. 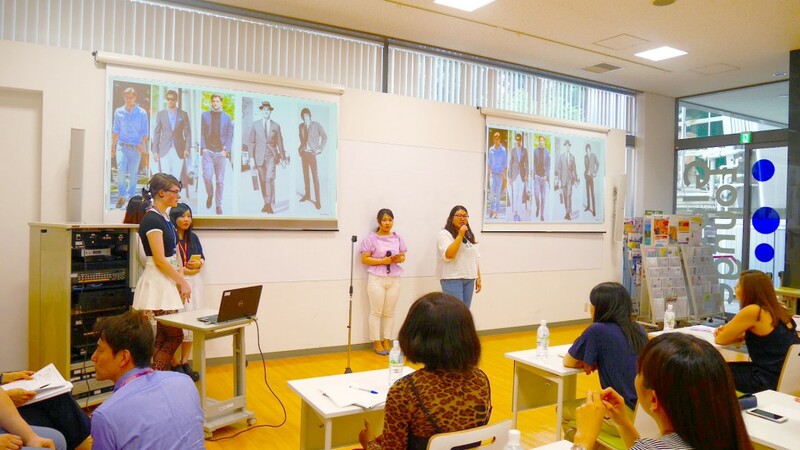 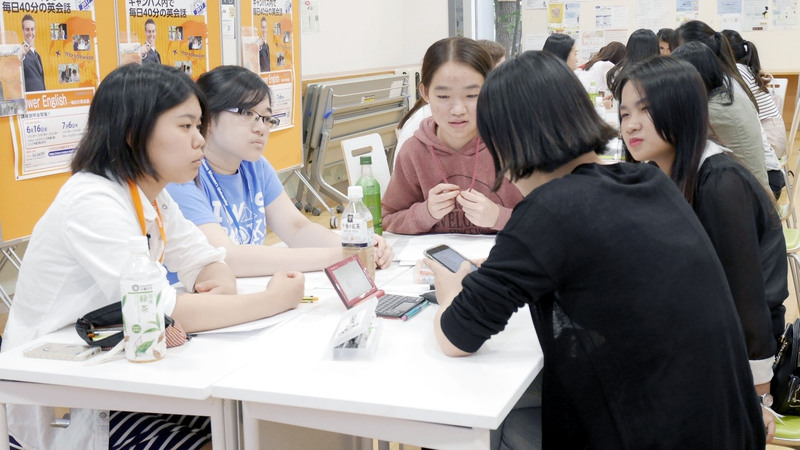 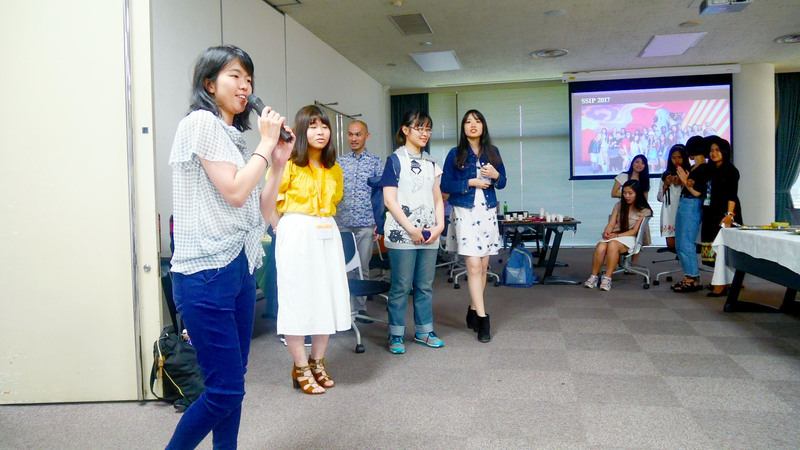 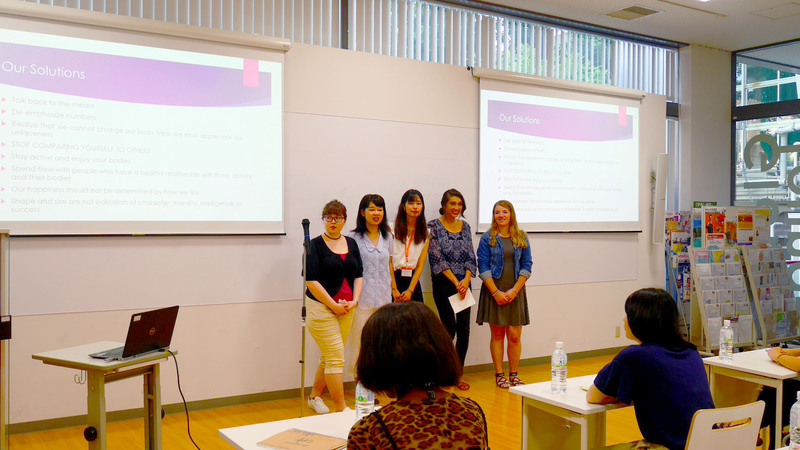 All the groups had a practice run of their presentations and received feedback from Audrey-sensei, SSIP intern Amanda, and CIE staff Yamazaki. 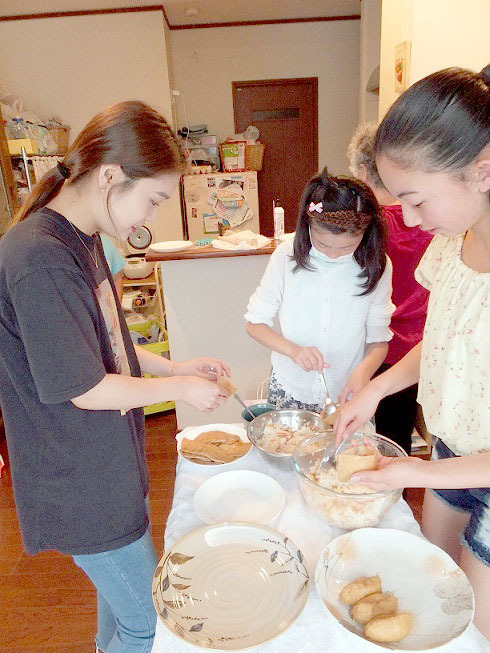 We’re all looking forward to the finished products. 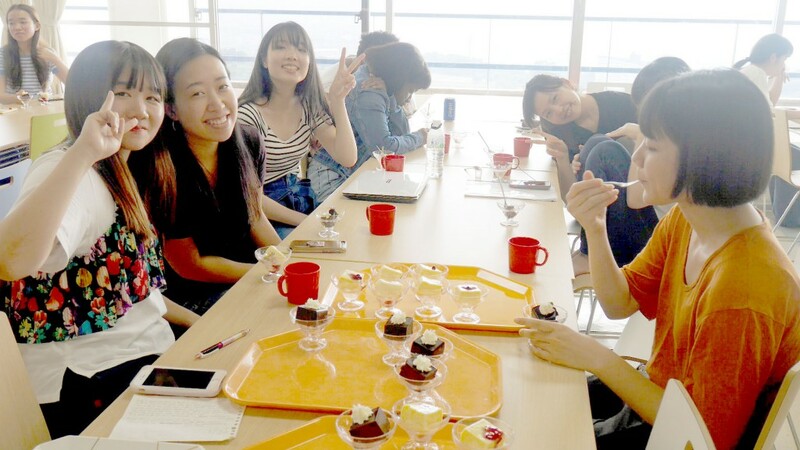 The day wasn’t all work, however—at 3pm everyone was treated to (blueberry cheesecake and chocolate) cake! 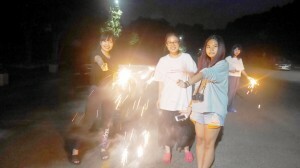 Even more exciting was the fireworks after dinner. 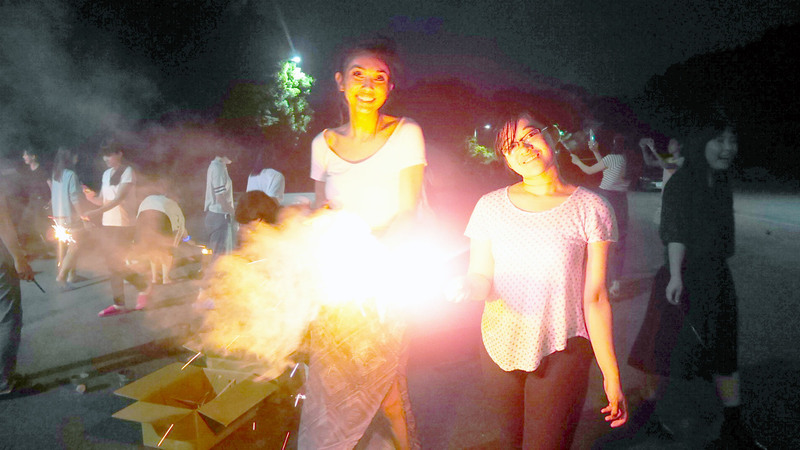 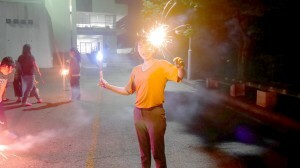 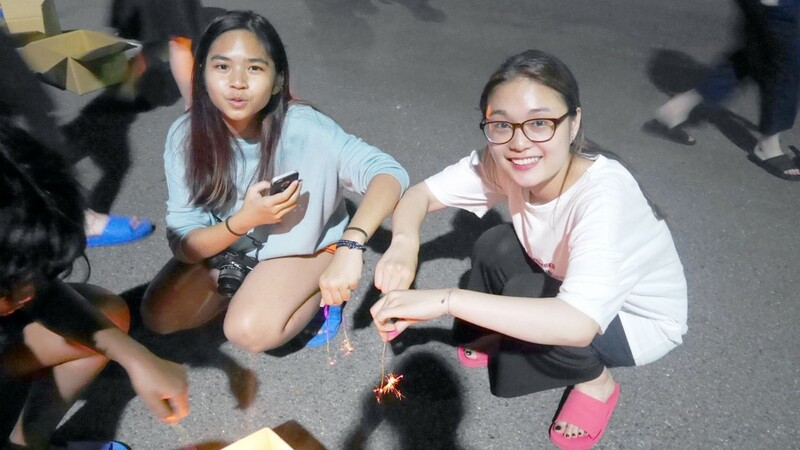 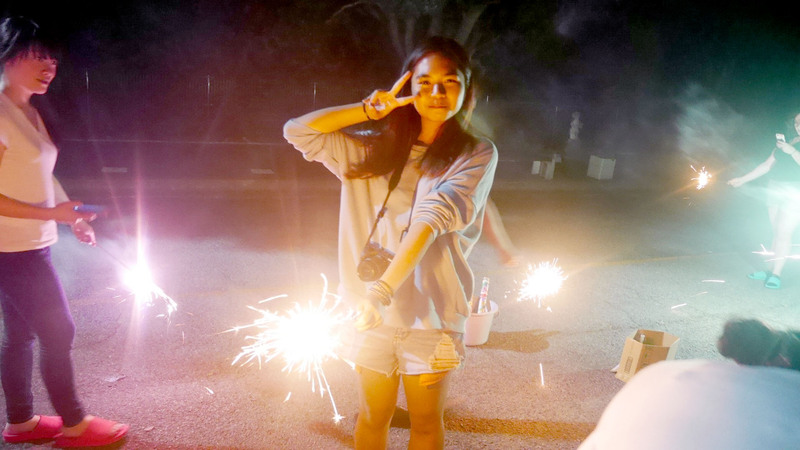 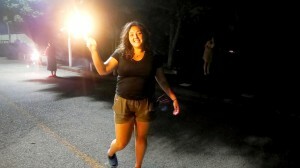 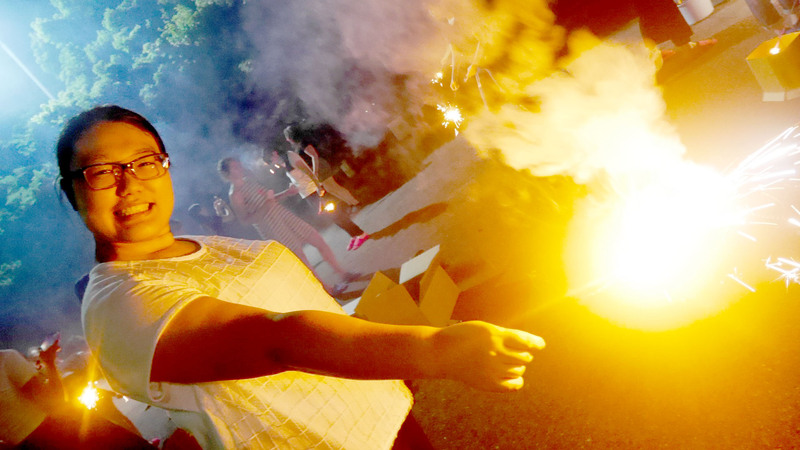 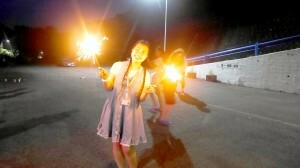 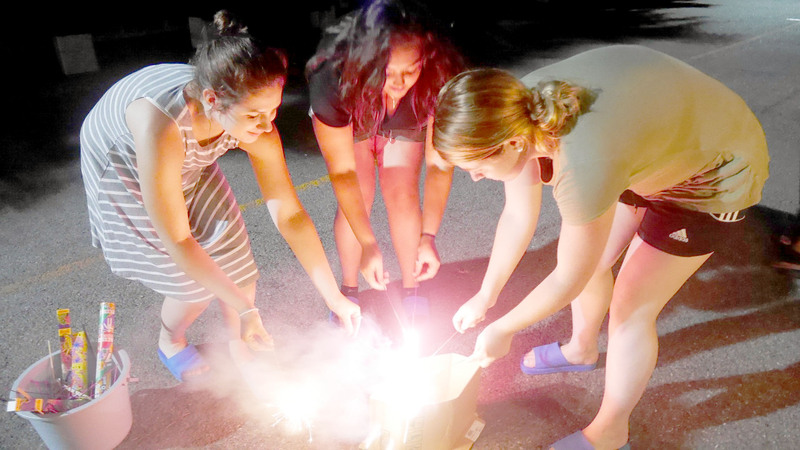 Students laughed, ran around, and lit up the night with fun, fireworks, and friendships to last a lifetime. 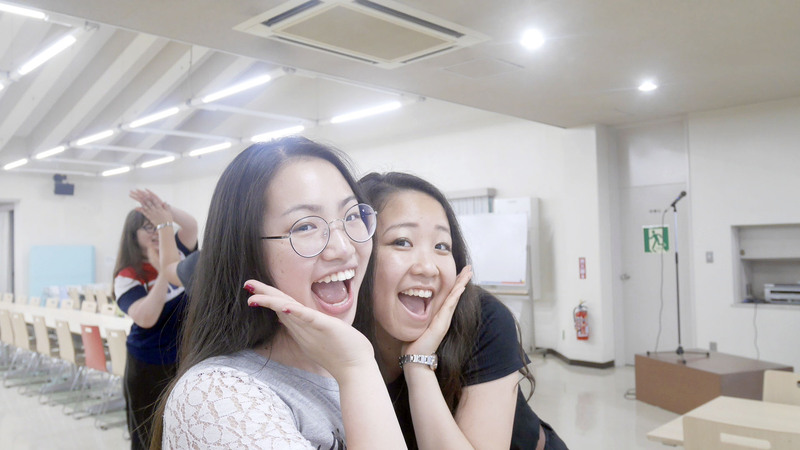 It’s truly hard to believe that the program is almost finished! 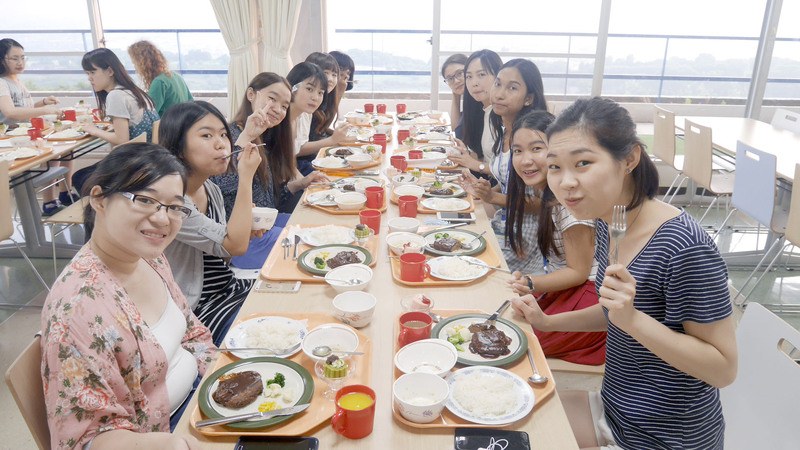 Everyone was in for a busy and action-packed day today! 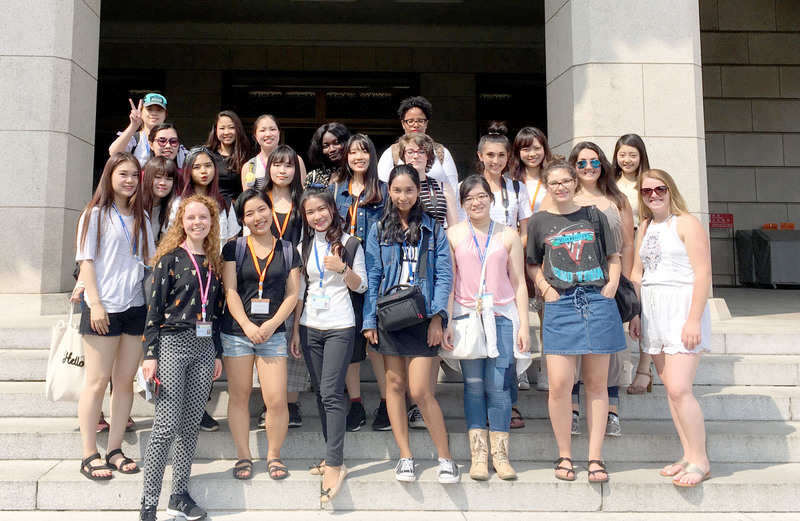 The students and interns woke up bright and early to check out of the National Olympic Memorial Youth Center for the final time. 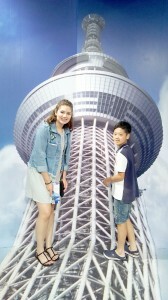 We left by 8am to pick up some Showa students and CIE’s Ash-sensei before heading to the Edo-Tokyo Museum. 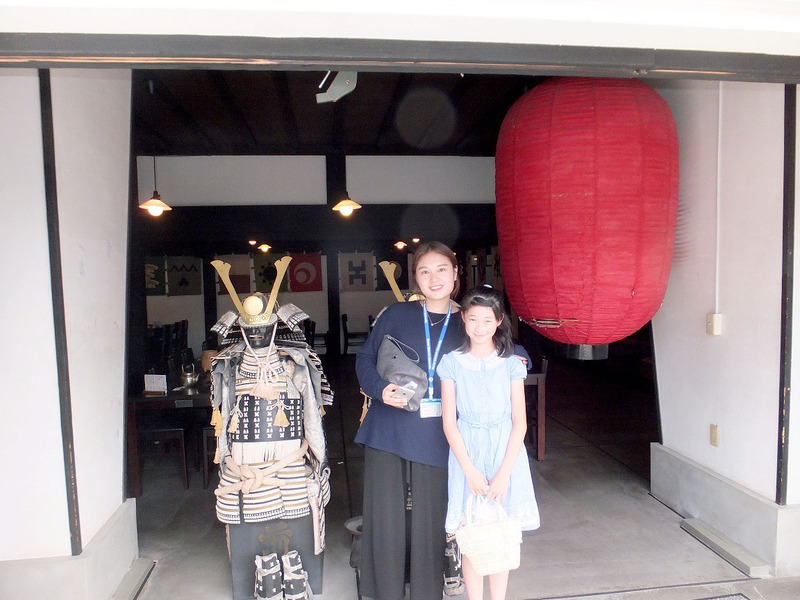 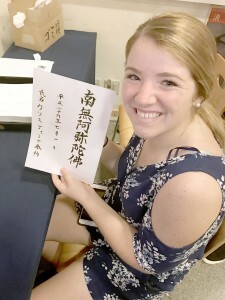 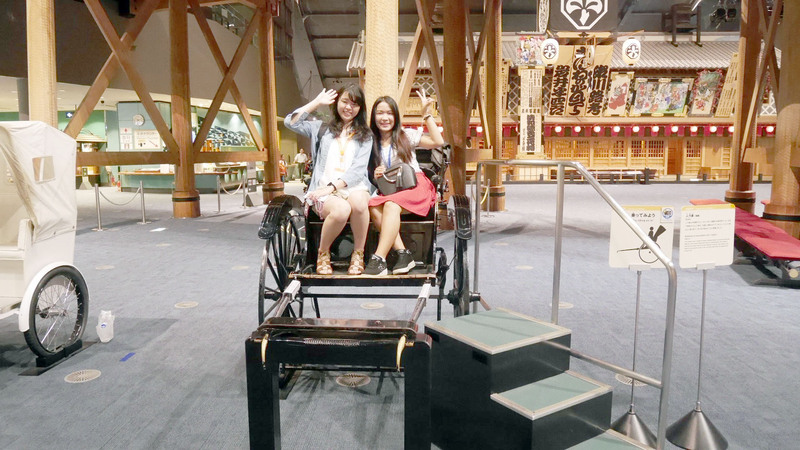 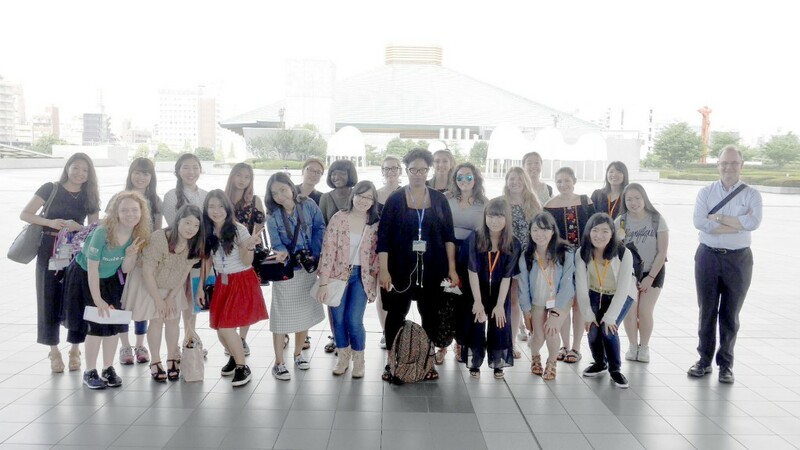 Once there, students were treated to a guided tour by Ash-sensei and got to see various exhibits in the museum about Edo-period Tokyo to modern day. 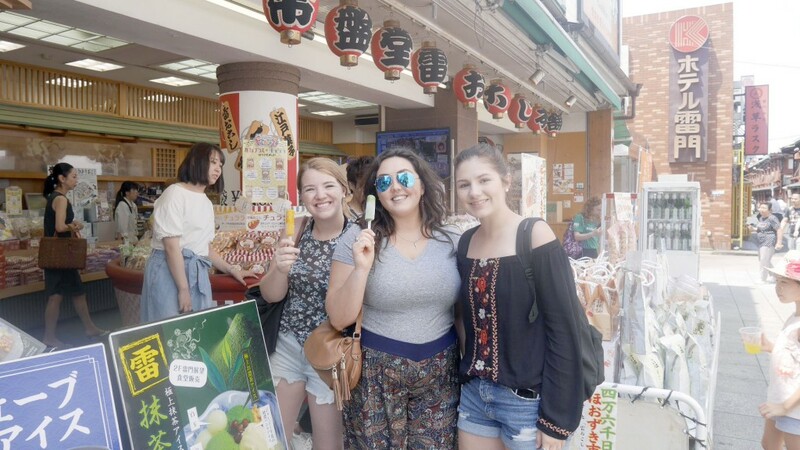 We all boarded the bus again to head to a tempura restaurant in Asakusa! 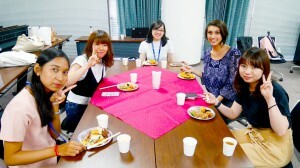 Everyone thoroughly enjoyed the sumptuous fare. 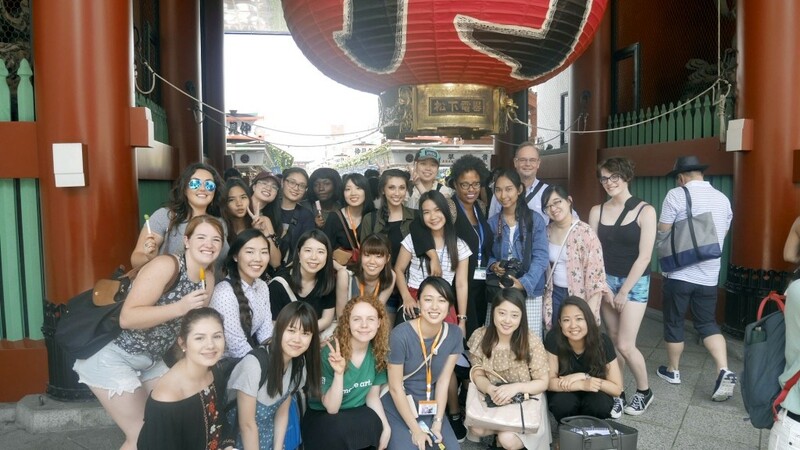 After lunch, we all headed to Asakusa! 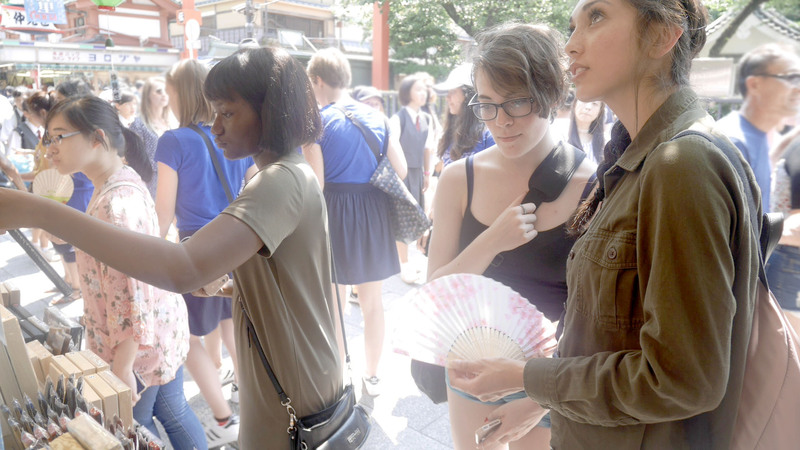 Ash-sensei gave a brief tour of the area, and then students were free to go off on their own, enjoying ice cream, getting their omikuji (fortunes), and buying souvenirs and trinkets from the various stalls. 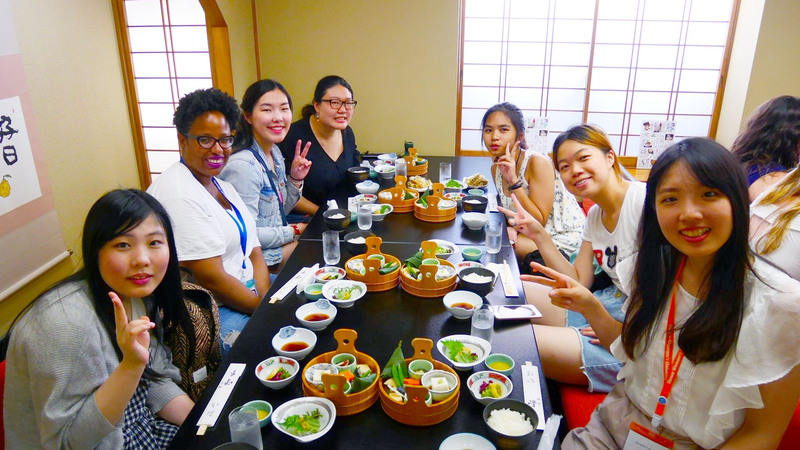 Once everyone had fully enjoyed what Asakusa had to offer, we boarded the bus again to briefly head to Showa before arriving at Tomei Gakurin, Showa Women’s University’s off-campus training facility. Once there, we went through a brief orientation before enjoying a delicious dinner prepared by the staff while taking in the jaw-dropping view visible from the canteen. 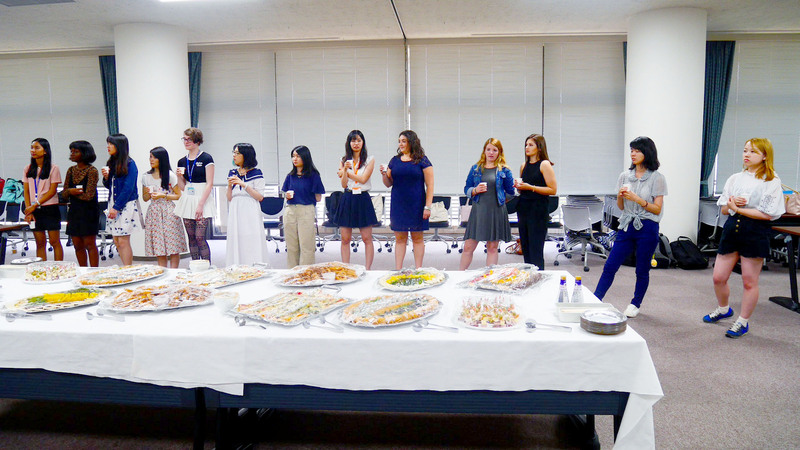 The night ended with everyone heading off to their rooms with their presentation groups, but laughter and chatter (and even some dance parties) were audible until late into the night. Students were in for a lighter workload today, as they arrived at the Global Lounge at 2:40pm for another cross-culture workshop session. 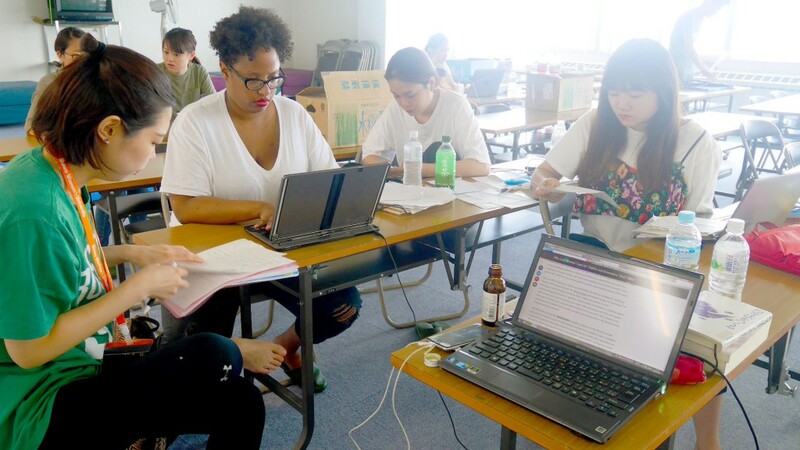 This time, students were in their groups working on their presentations for the last day, with Audrey available and helping when needed. The next day was their last free day of the program, students using it to finish their assignments and to prepare for the final presentation. 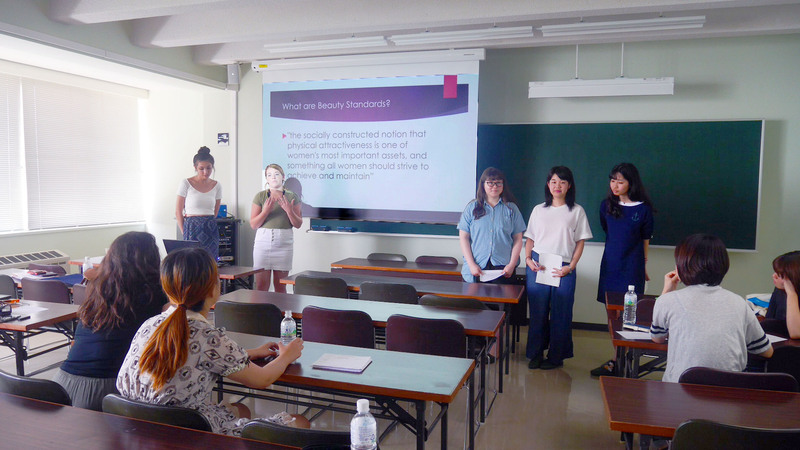 Today, a previous SSIP intern, Kathy Tran, returned to present on her thesis topic: “Joshi Ryoku,” what it means, how it’s used in Japan, and its implications. 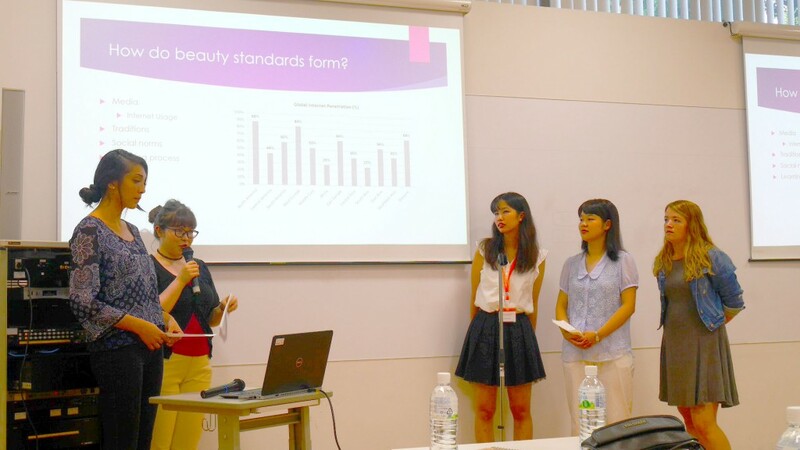 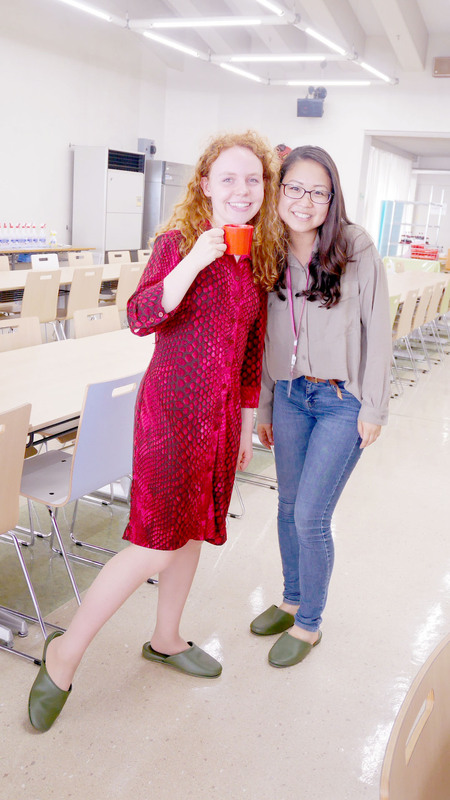 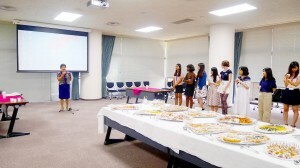 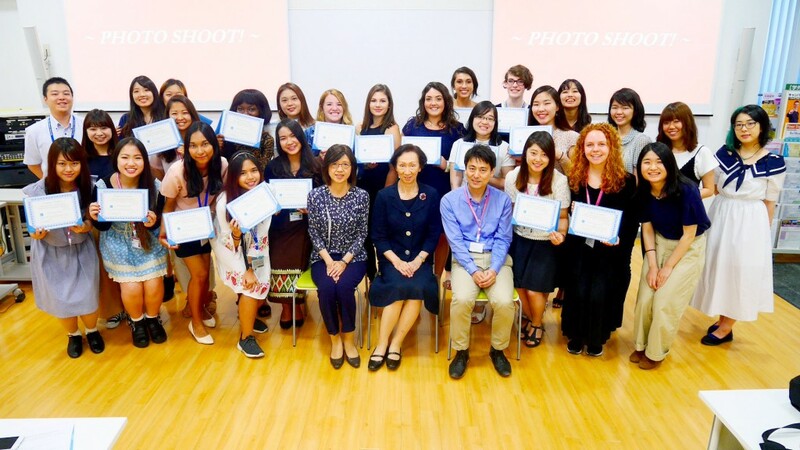 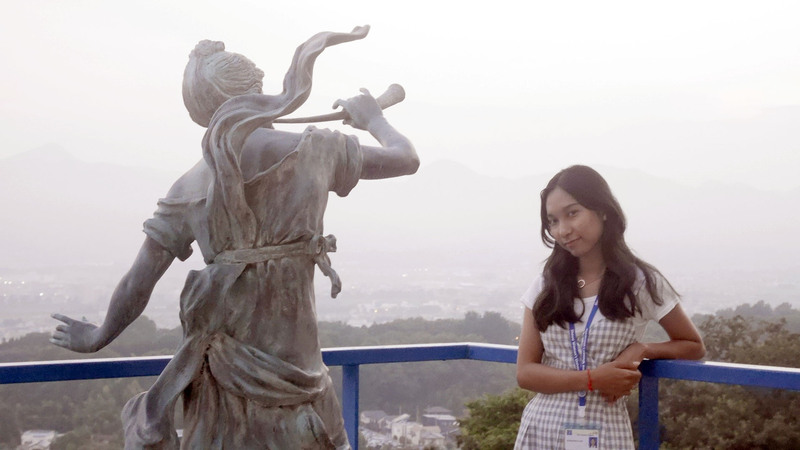 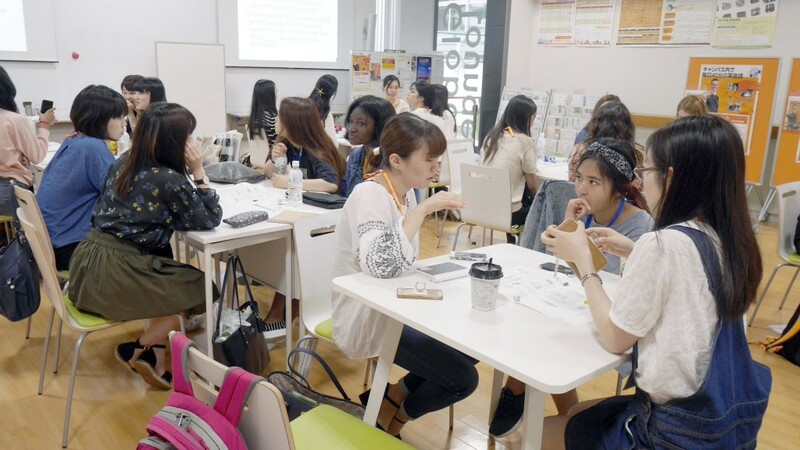 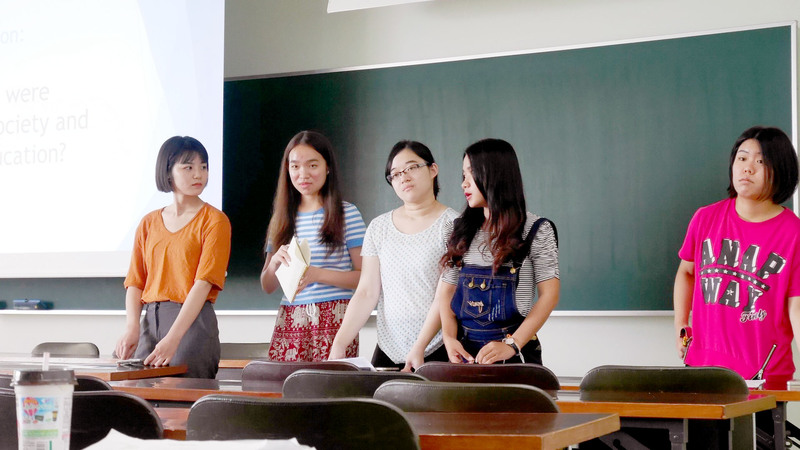 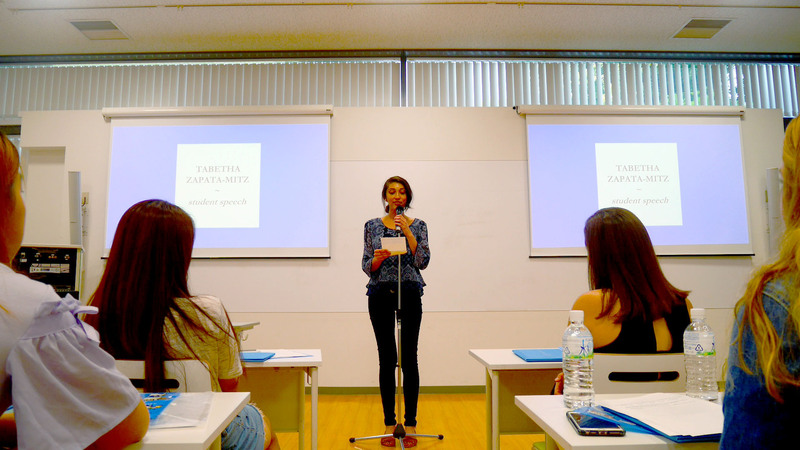 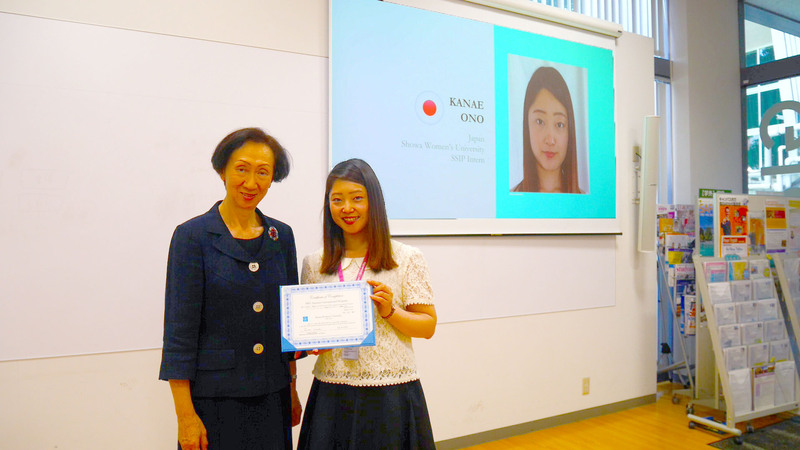 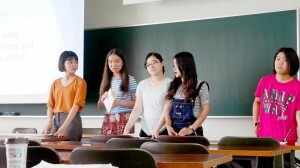 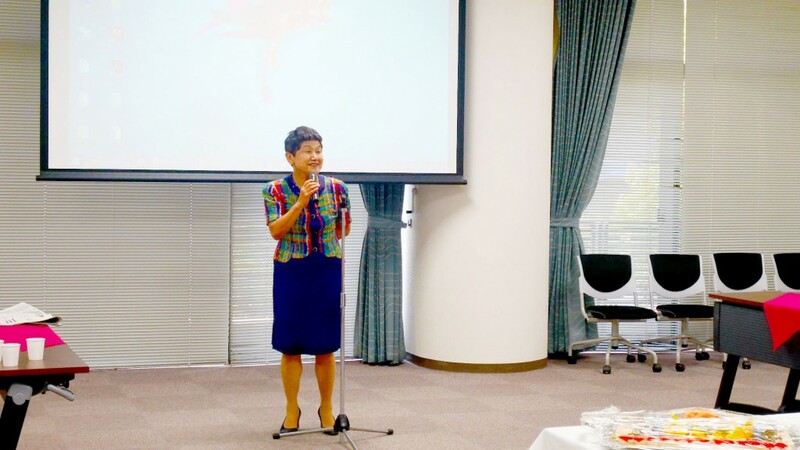 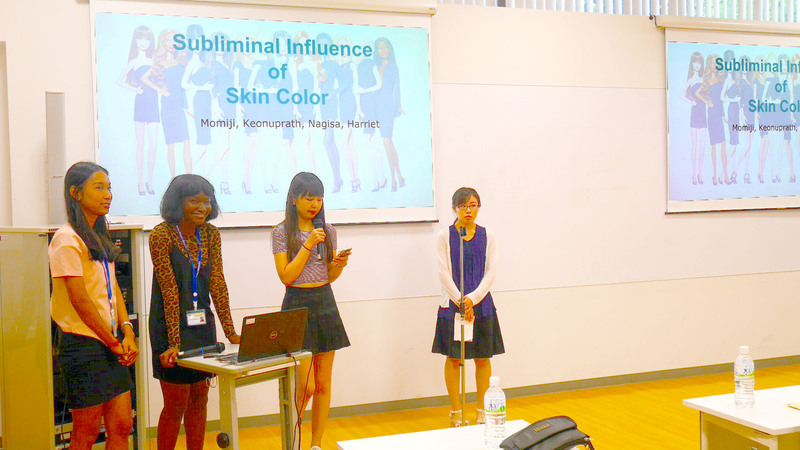 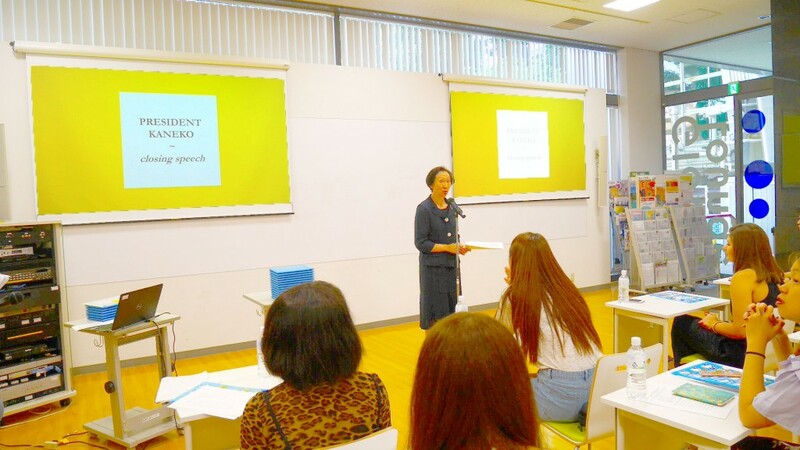 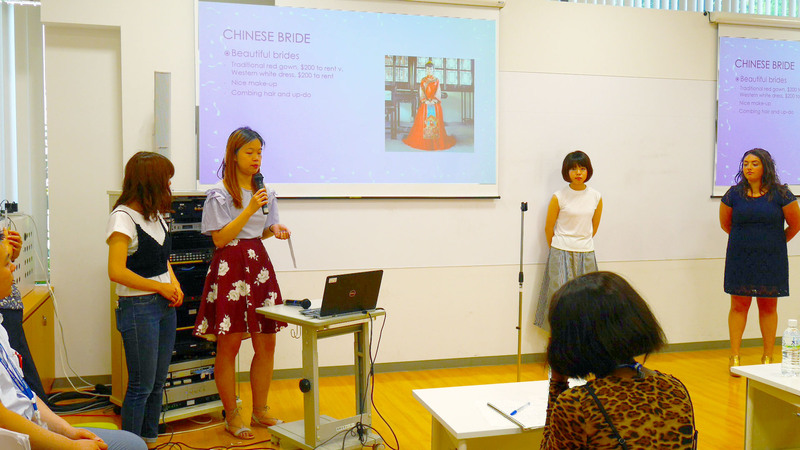 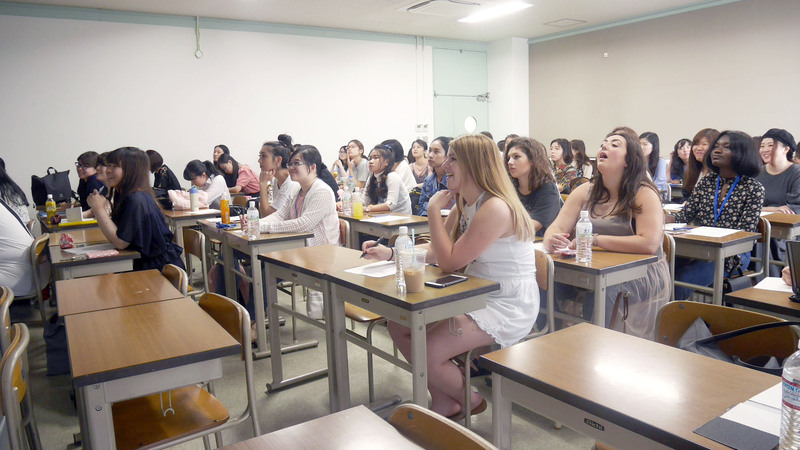 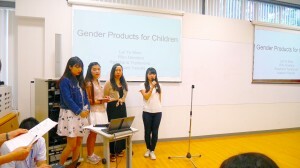 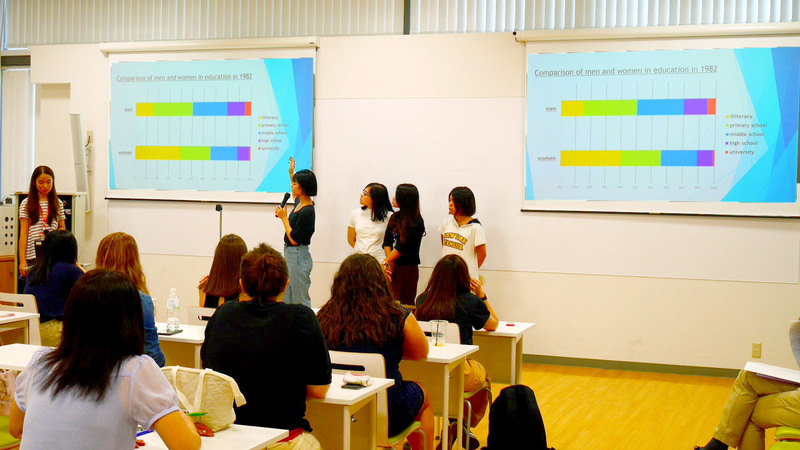 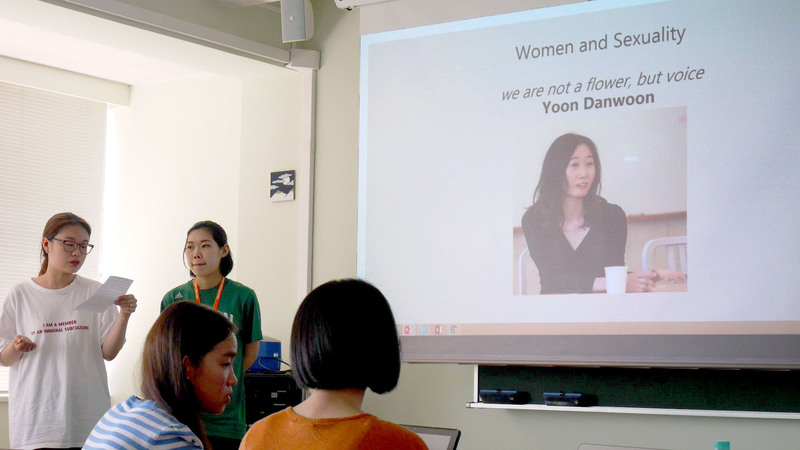 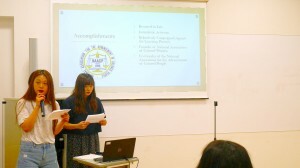 She gave a passionate lecture on female gender roles and stereotypes in Japan, and encouraged the students to participate in scintillating discussion on the topic. 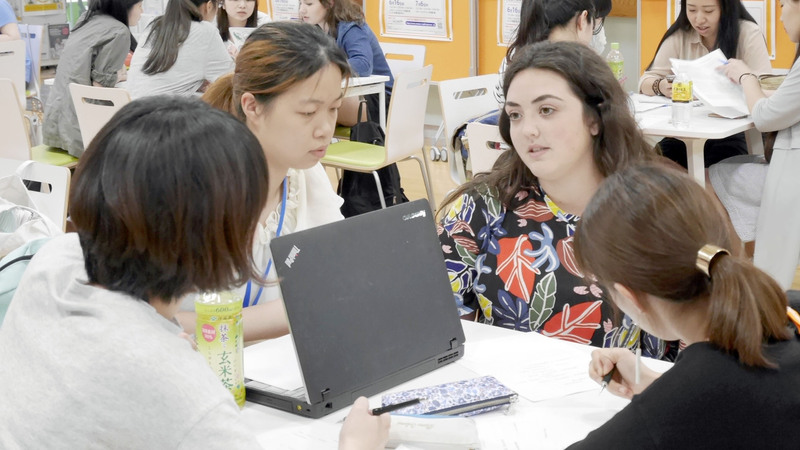 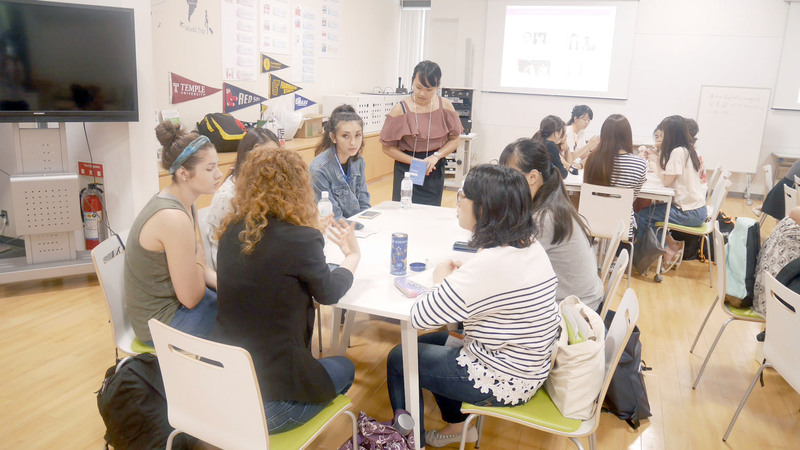 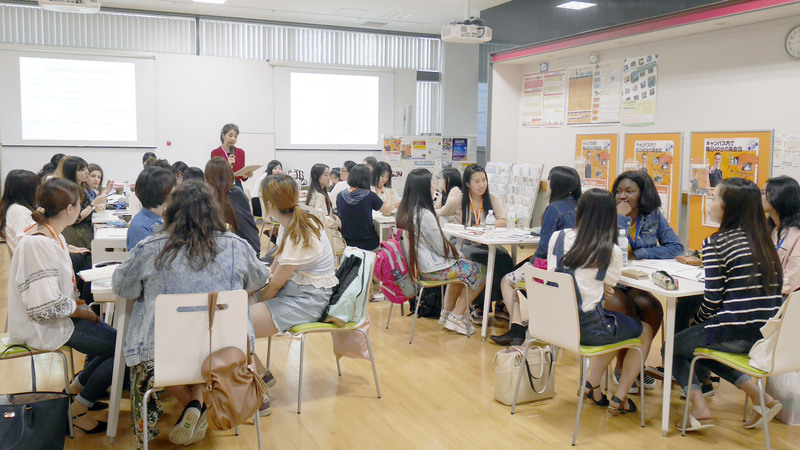 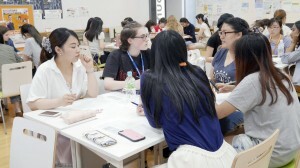 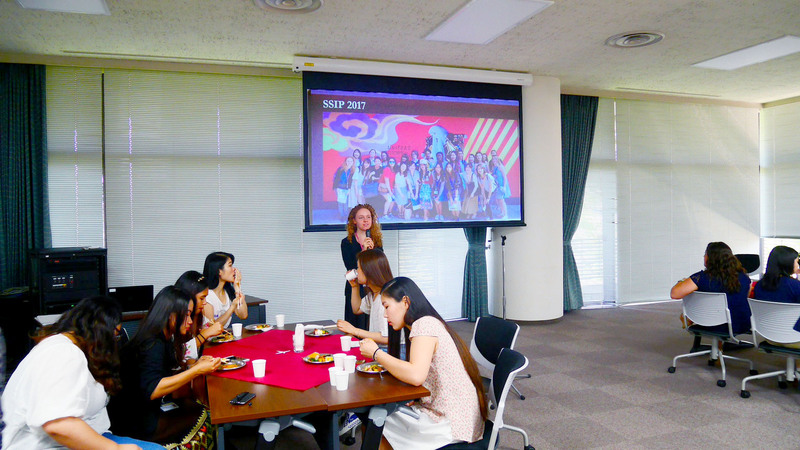 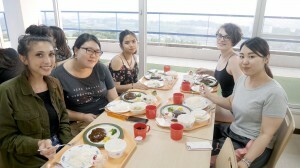 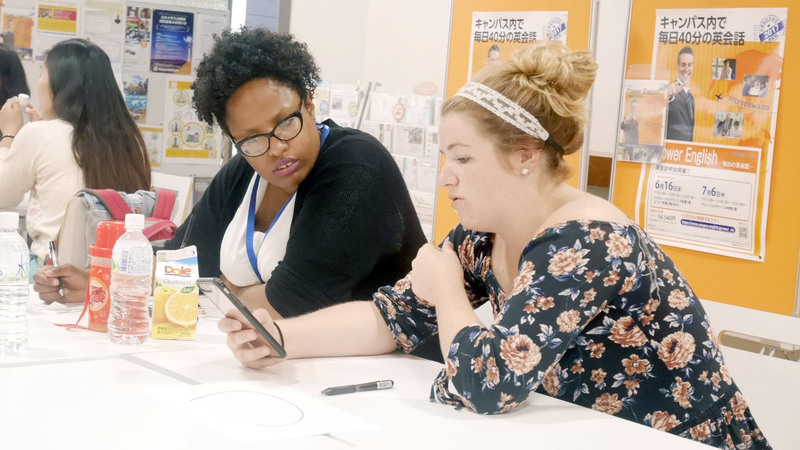 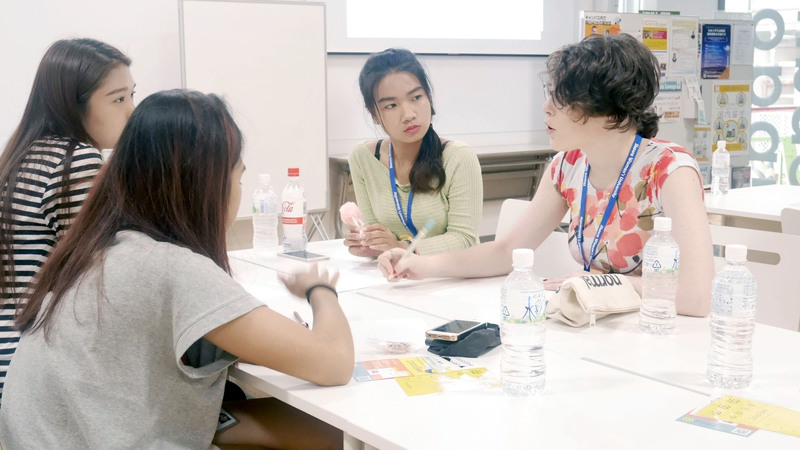 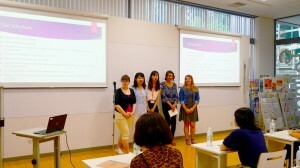 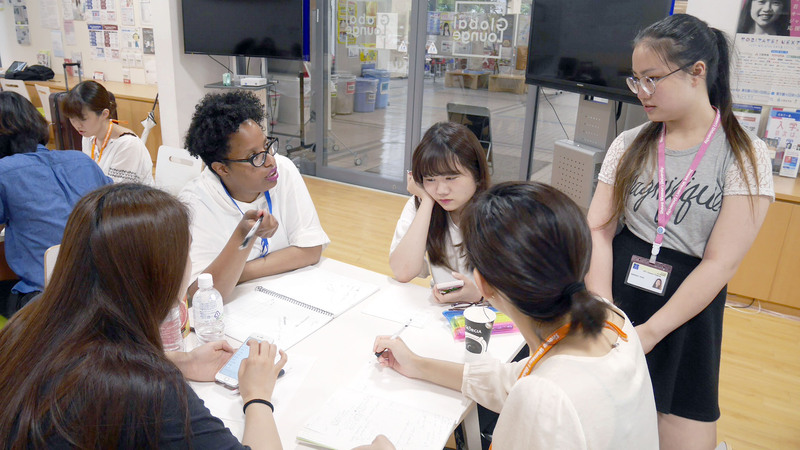 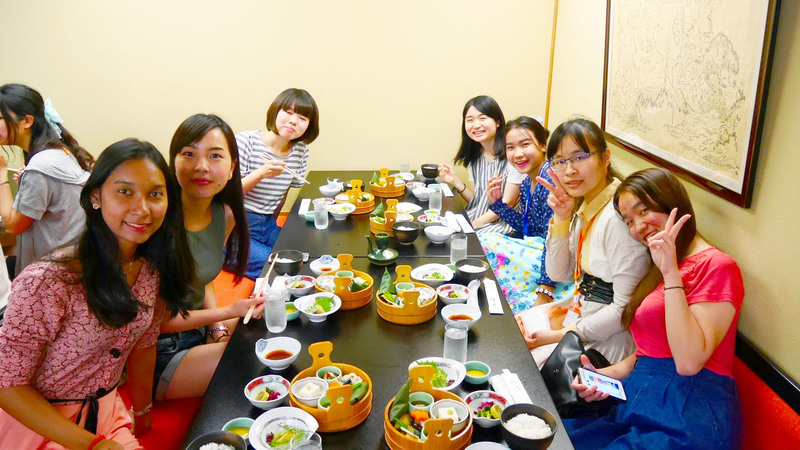 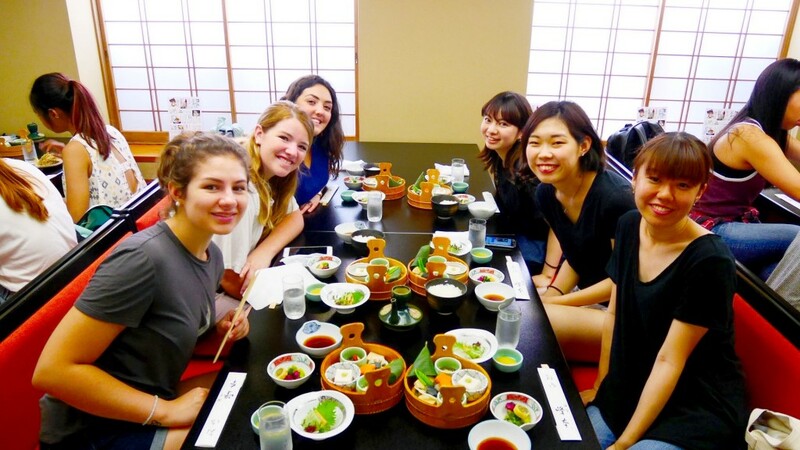 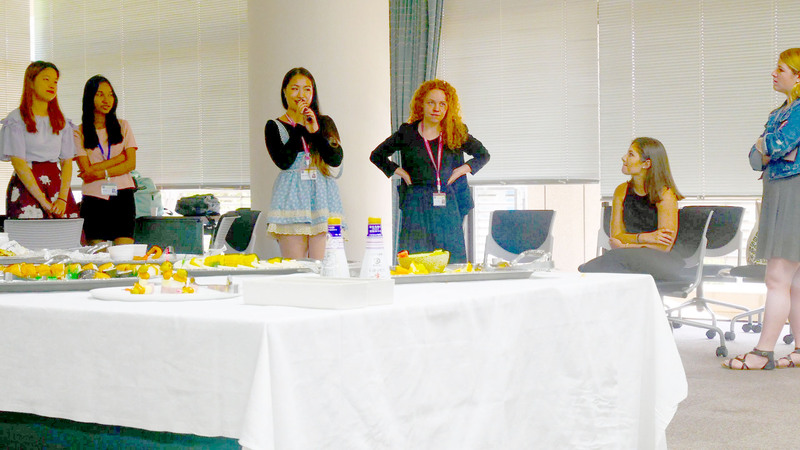 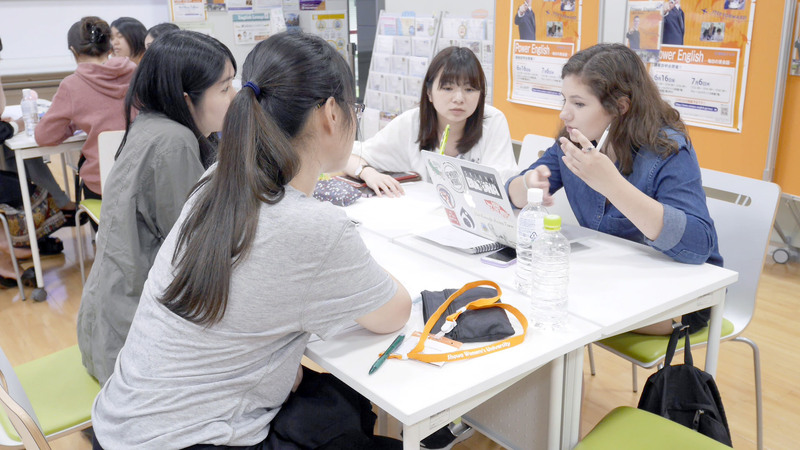 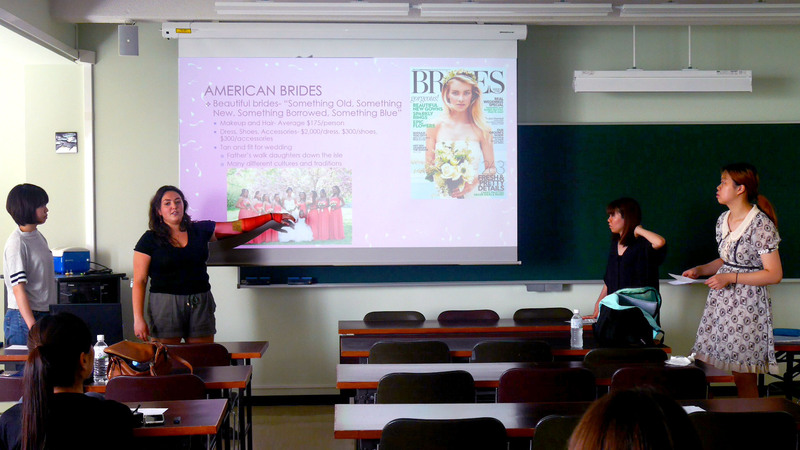 After lunch, Kathy instructed the international students on possible methods they could use to interview Japanese students on the topic of “joshi ryoku” and gender roles. 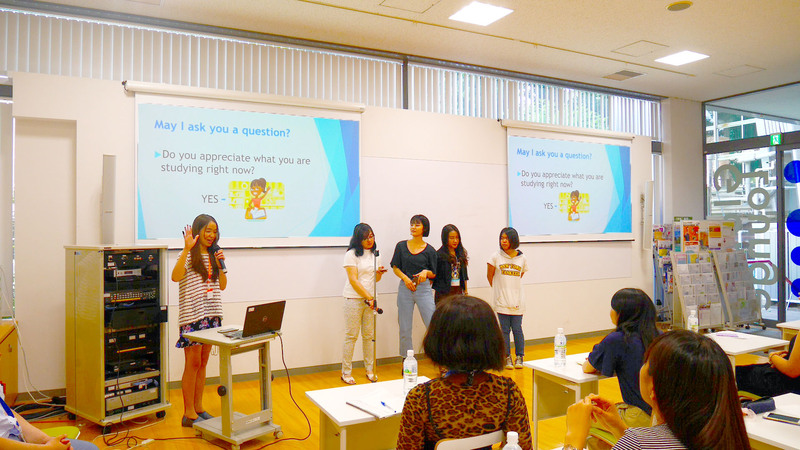 She went through common reasons for misunderstandings during communication, and had the students share their own anecdotes and experience. 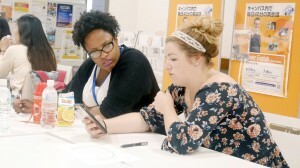 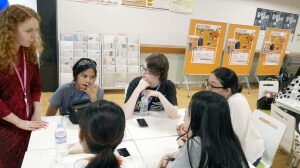 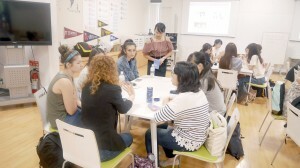 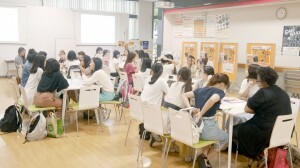 Once the Showa students came, Kathy facilitated and proposed different topics for discussion. 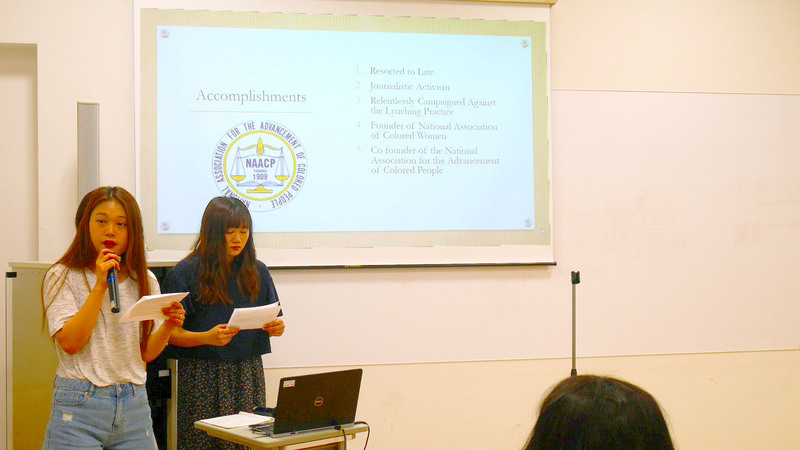 Throughout the day, various students had chances to present on what they had talked about. 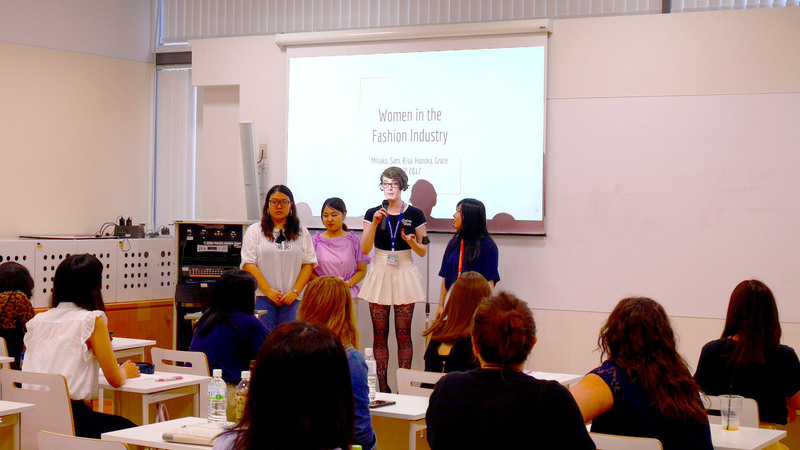 At the end of the session, Kathy gave a moving and poignant anecdote from her own work experience in Japan, and endeavored students to always remember their agency, both despite of and in spite of the position of women in our modern-day society. 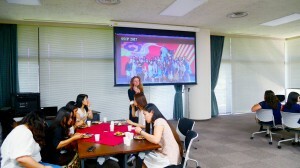 On the first day of July, the students once again arrived at the Global Lounge for the cross-cultural workshops led by Audrey Morrell. 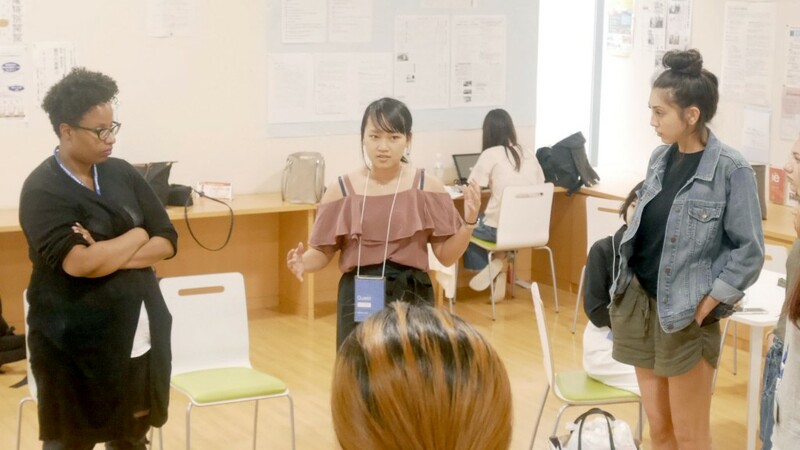 Audrey gave a brief introduction on gender and gender-related issues and how it relates to culture before having the class split up into groups to work on their final projects. The students spent the rest of the time brainstorming topics, ranging from beauty standards to gendered products for children. 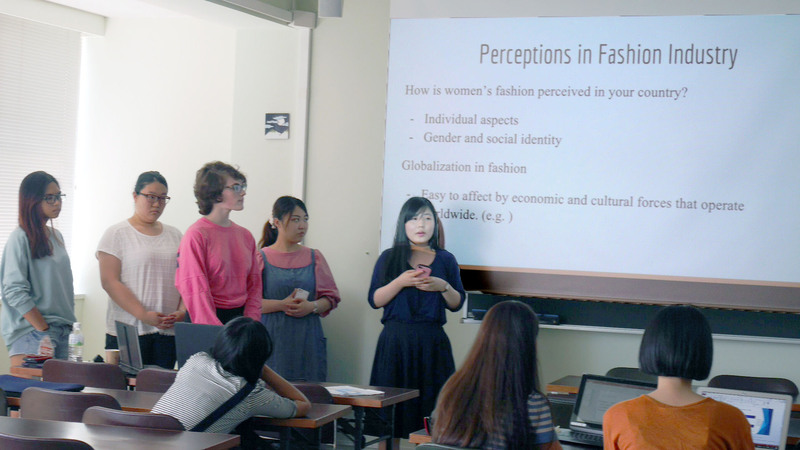 It was an exciting glimpse into how the final presentations would turn out! 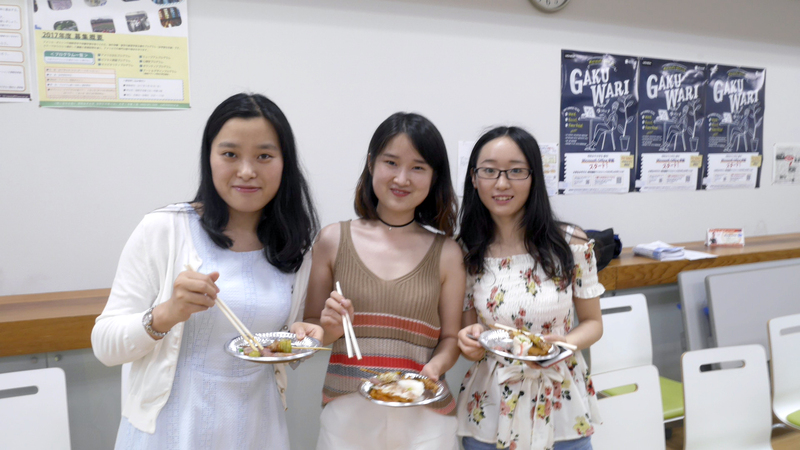 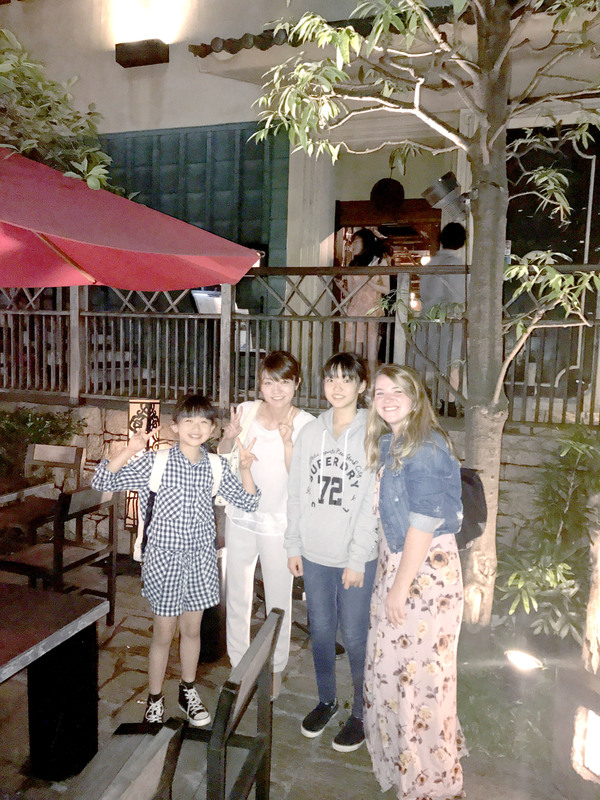 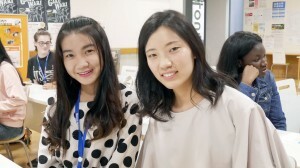 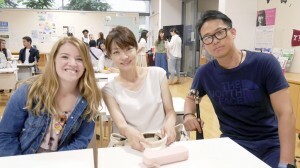 After the end of the class for the day, the international students were thrilled to meet their Japanese host families—they would be joining them in their lives and their home for the night and the next day. 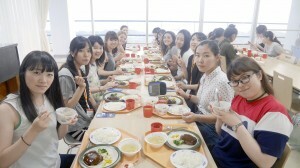 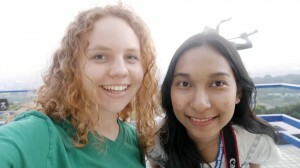 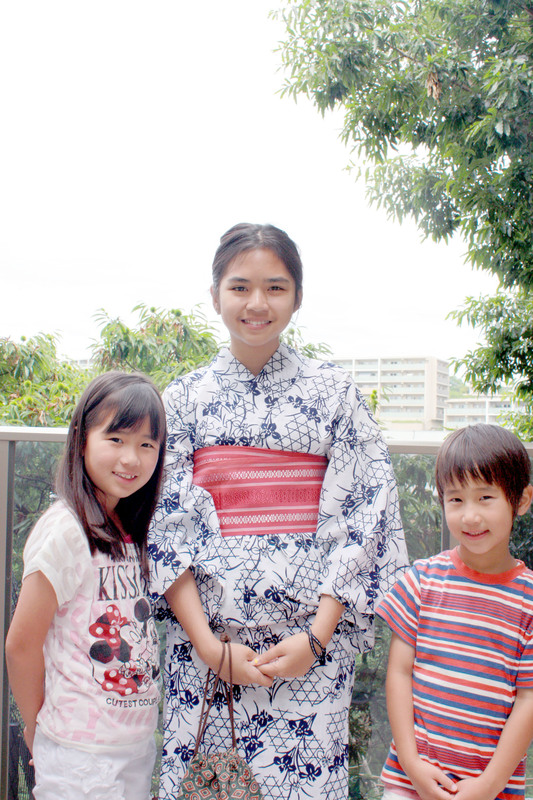 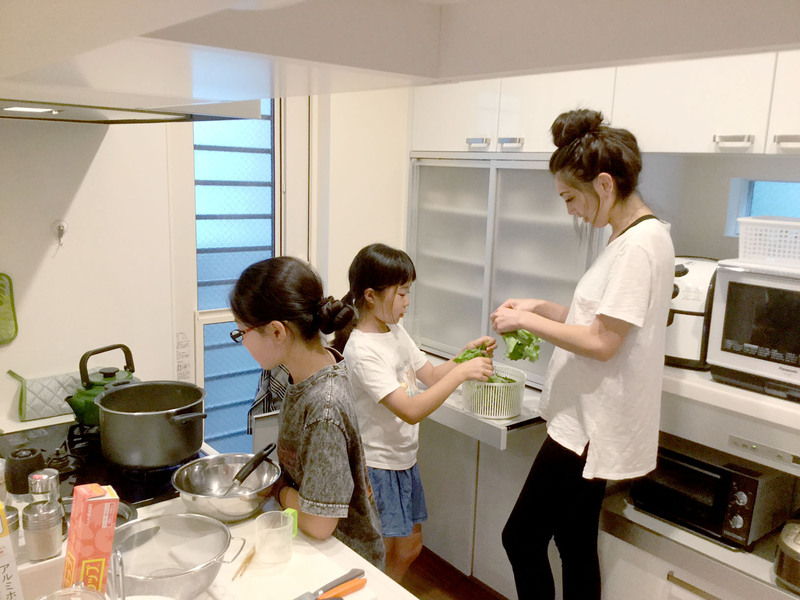 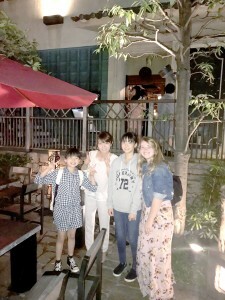 The students had been looking forward to the homestay for weeks, and everyone quickly got to know each other. 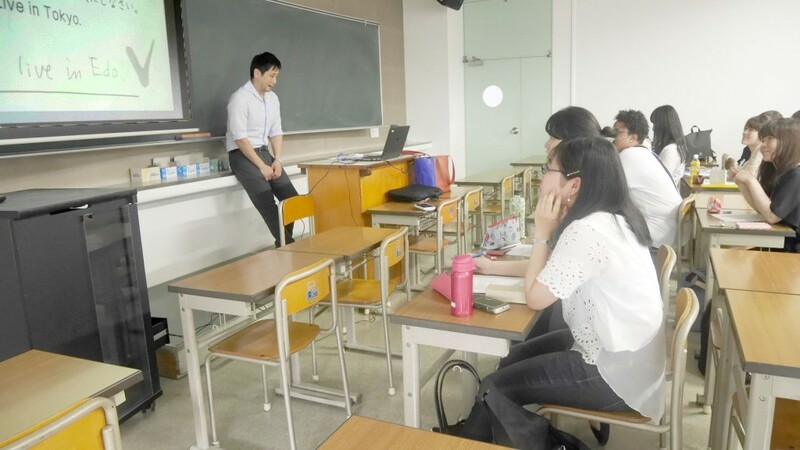 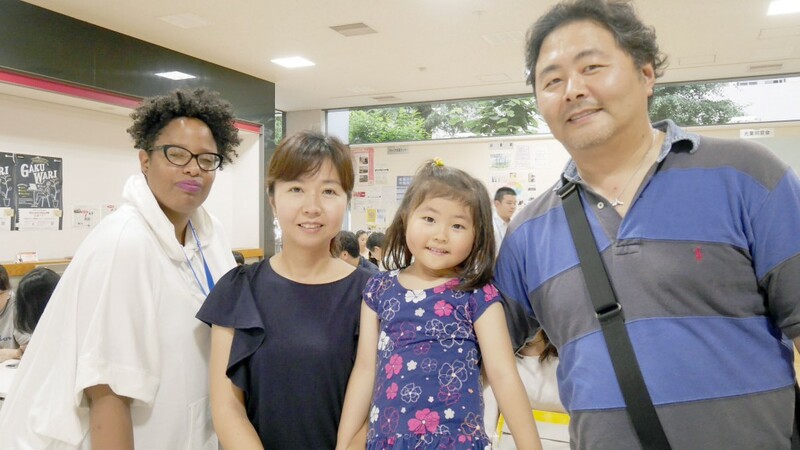 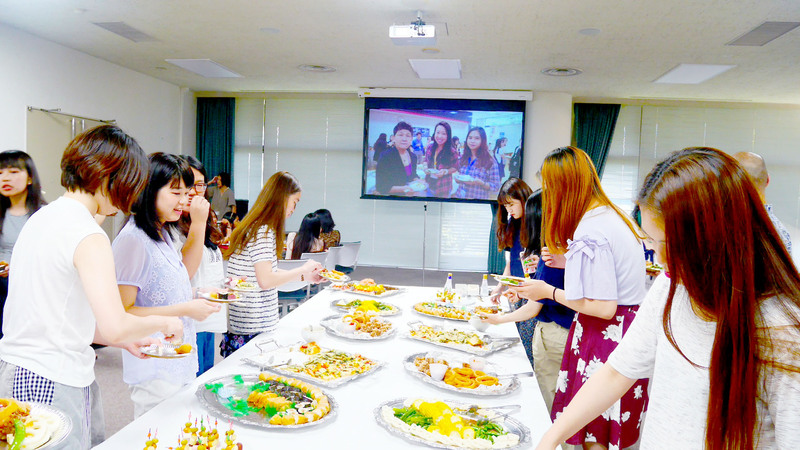 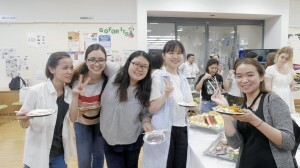 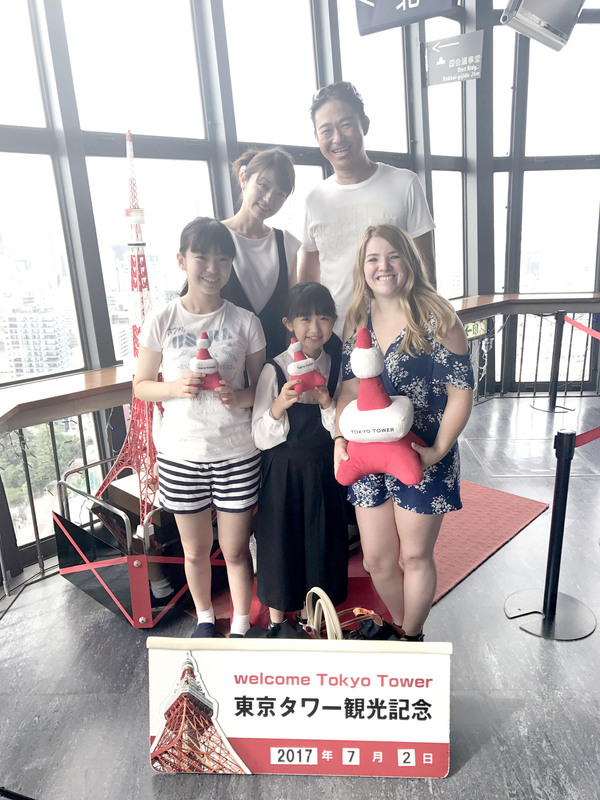 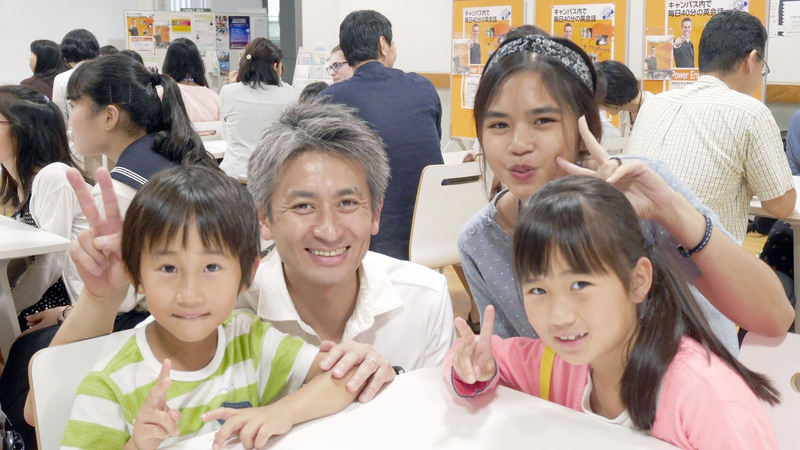 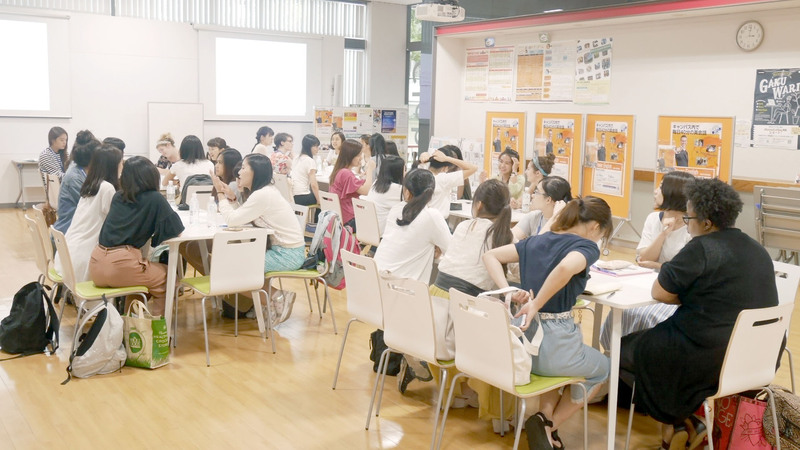 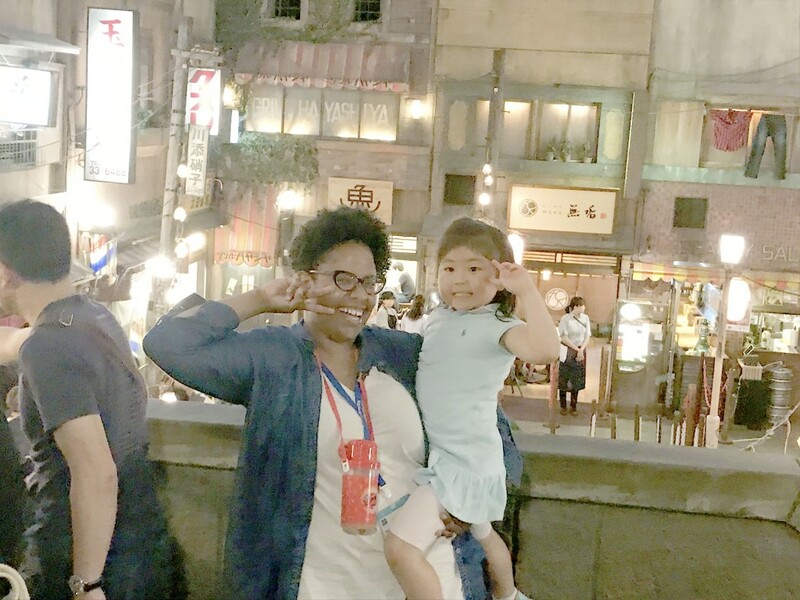 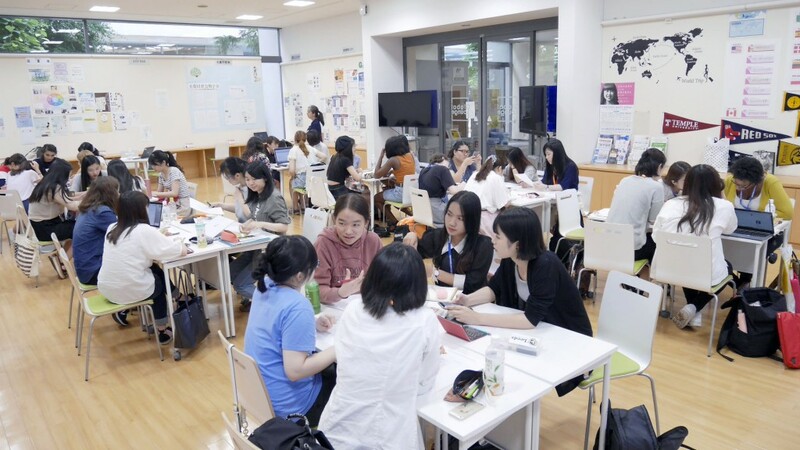 CIE staff member Mitsuhiro Kurakata gave an orientation to the host families, and then the students were off to enjoy an authentic Japanese experience! 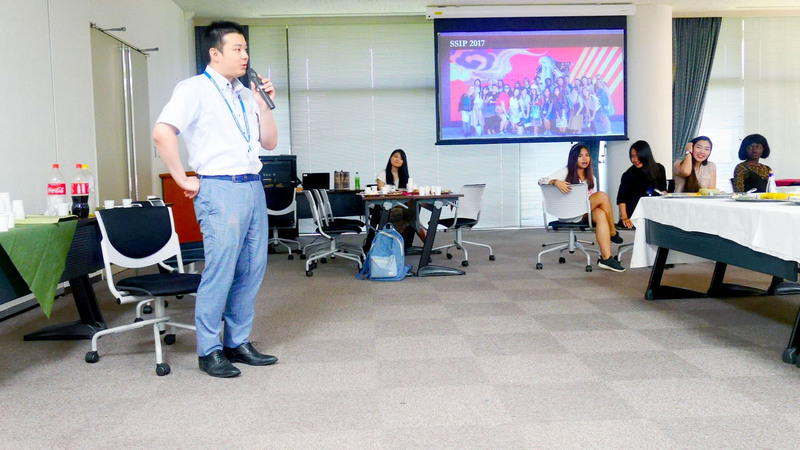 This morning we had a brief lecture by Yamazaki-san covering the history of Studio Ghibli and its premier animator and director, Hayao Miyazaki, well-known for popular films such as Spirited Away and Howl’s Moving Castle. 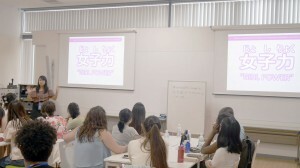 We then spent half an hour watching the first few episodes from the captivating 1970s TV series Future Boy Conan, one of Miyazaki’s earliest works. 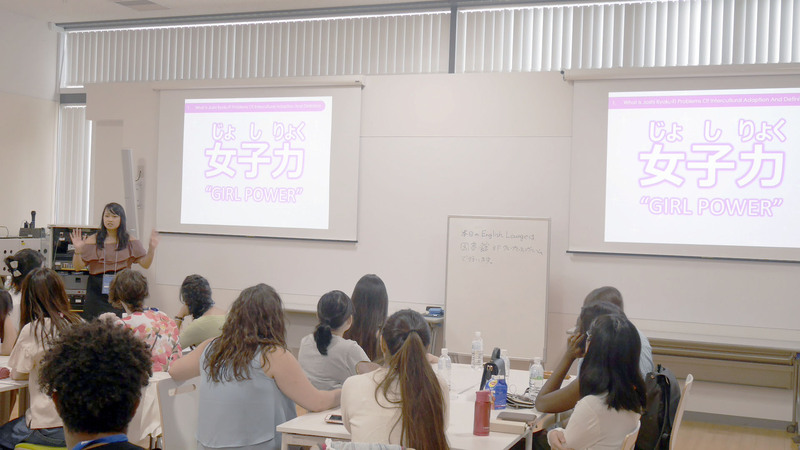 Discussion followed on the disappointing ratings and how the work was used as a reference point for further improving the mode of animation and story that made his films so successful. 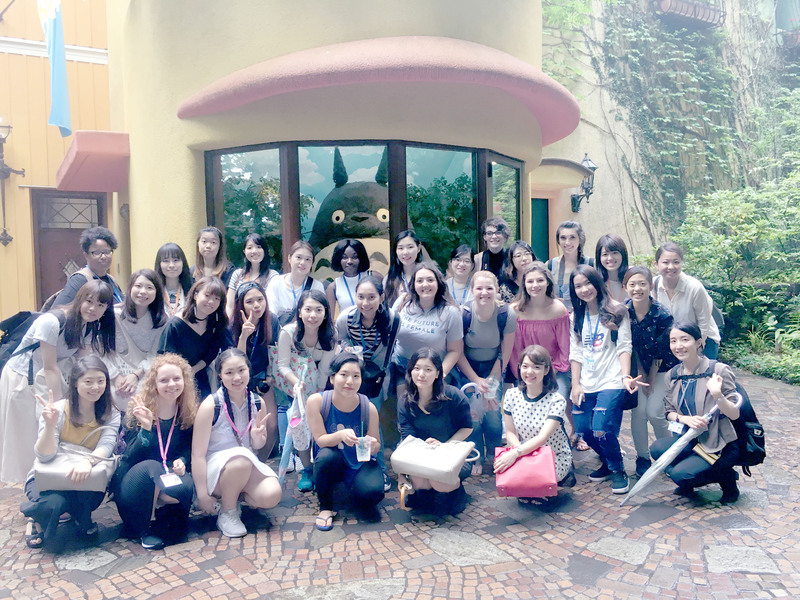 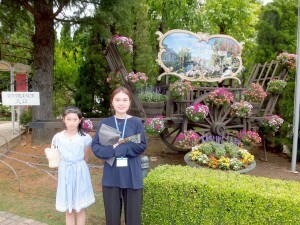 Lunch was followed by an exciting escapade to the magical Ghibli Museum. A veritable wonderland, the intricately designed building was filled with features that gave the impression one had stepped into one of the Studio’s films. 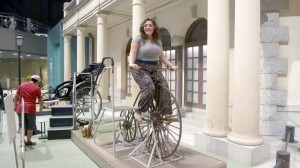 Not only was a high degree of interactivity afforded, from flipbooks to working complicated mechanics to play snippets from the studio’s works, there was also the opportunity to watch an original short film in the museum’s basement. 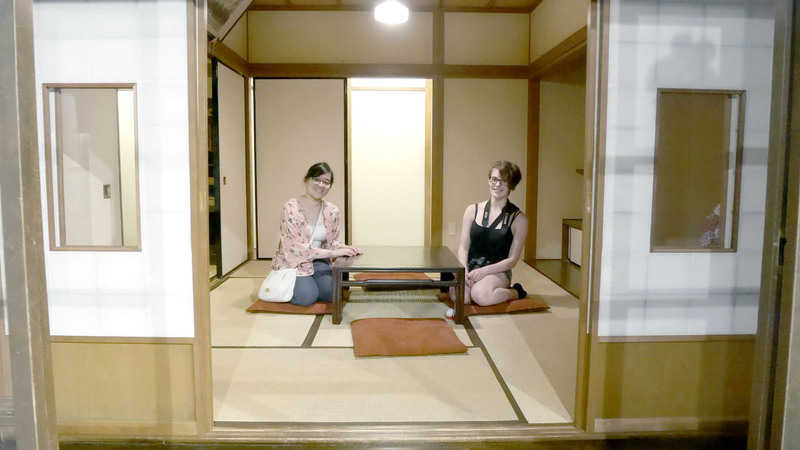 Perhaps most astonishing of all was to see replicas of the rooms the animators worked in with their stunning original watercolours and storyboards covering the walls. 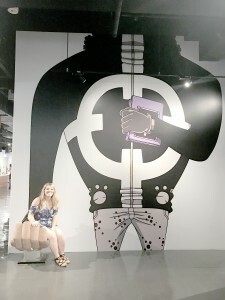 A real appreciation of the tremendous dedication the artists have to a single project over a series of years could be gained from seeing with one’s own eyes the level of detail required by each drawing and the number of frames per second. 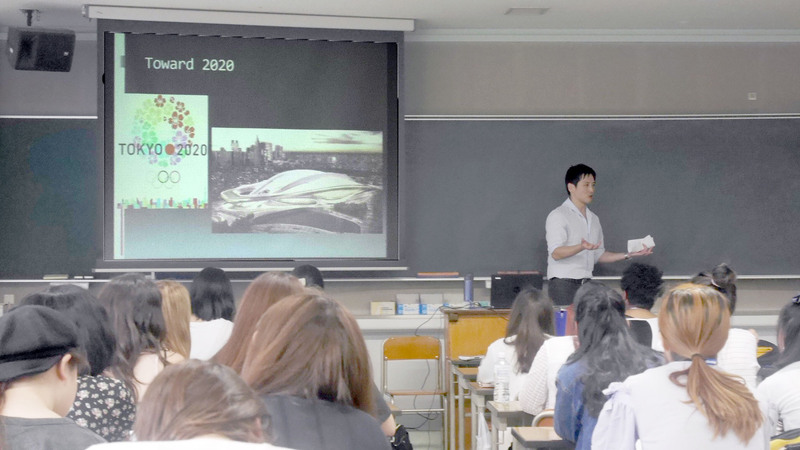 History of Tokyo Lecture and Tokyo National Museum Visit This morning, Sensei-Shimoda gave an insightful introduction to 400 years of the history of Edo, now the bustling metropolis of Tokyo. 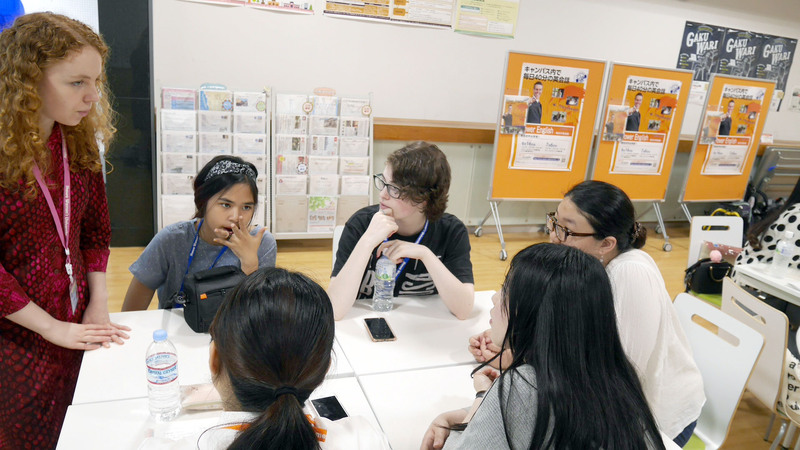 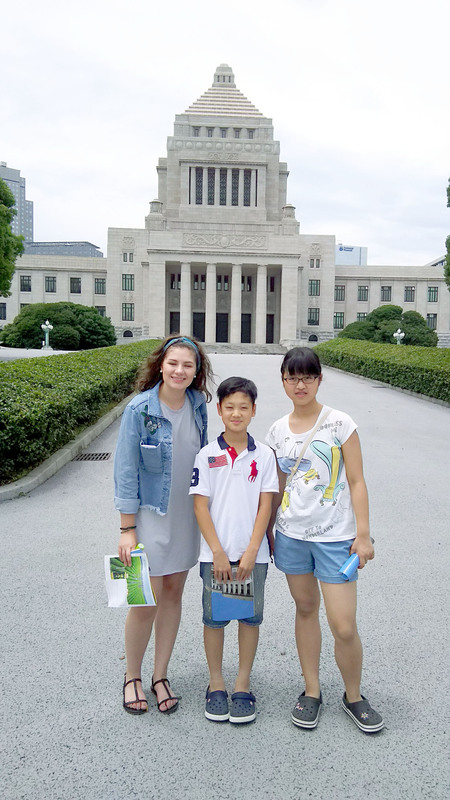 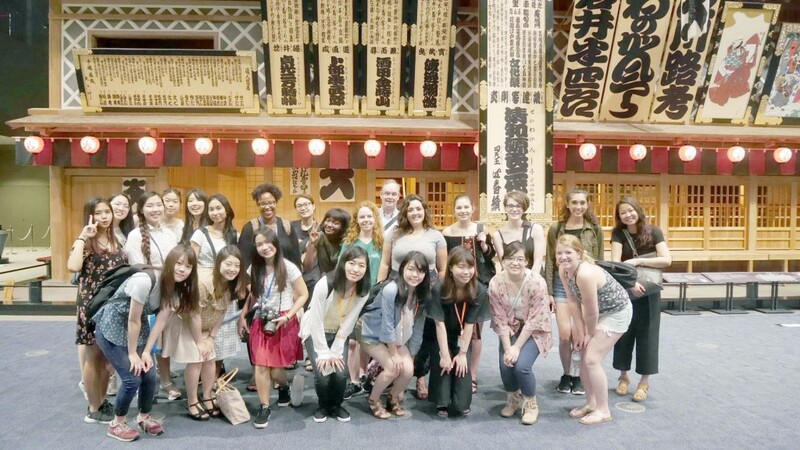 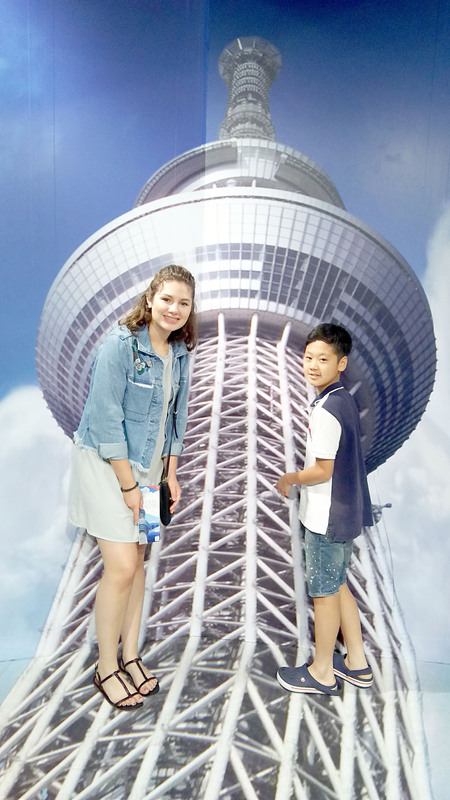 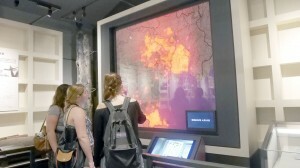 Beginning with the move of the capital of Japan from Kyoto to the impact of the 2011 earthquake, students learnt of the significant cultural and social shifts the largest city in the world has experienced. 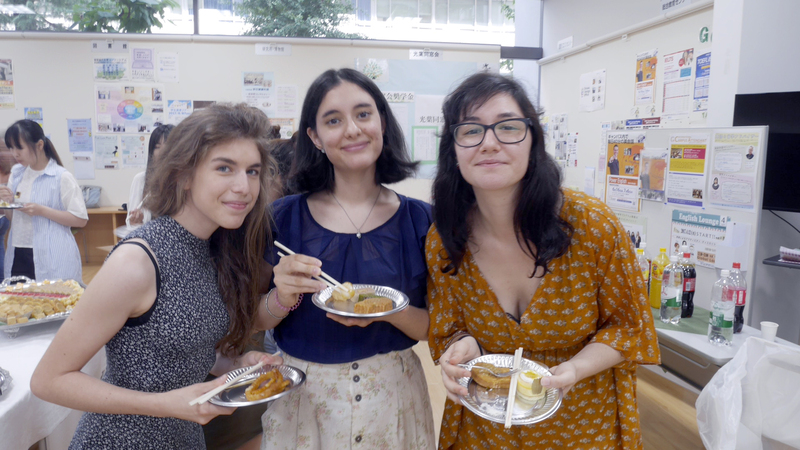 In watching some rare colour film footage of the city in the 1920s, students were able to see for themselves the Tokyo of old, learn of its Westernisation and the perception of it in the the Occident. The lecture fed into not only the students general awareness of different periods in Japanese history and their significance, but acted as a direct introduction to our upcoming visit to the Edo Museum next week. 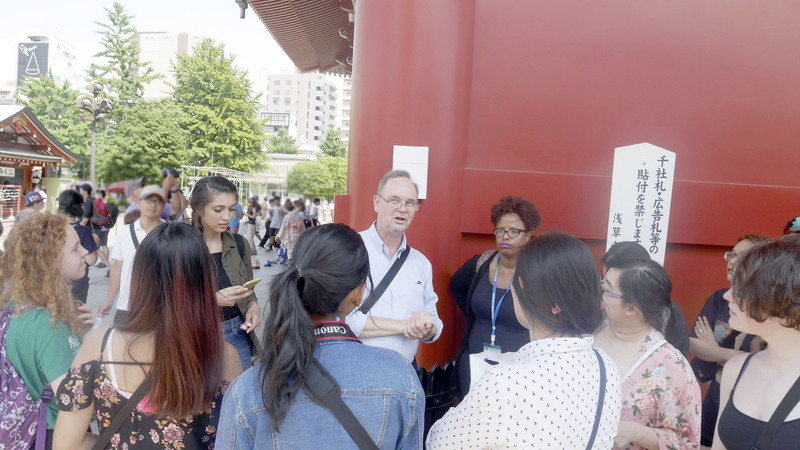 We headed to the ward of Ueno in the afternoon to explore the Tokyo National Museum, one of the largest art museums in the world containing a host of the National Treasures of Japan and Asian countries. 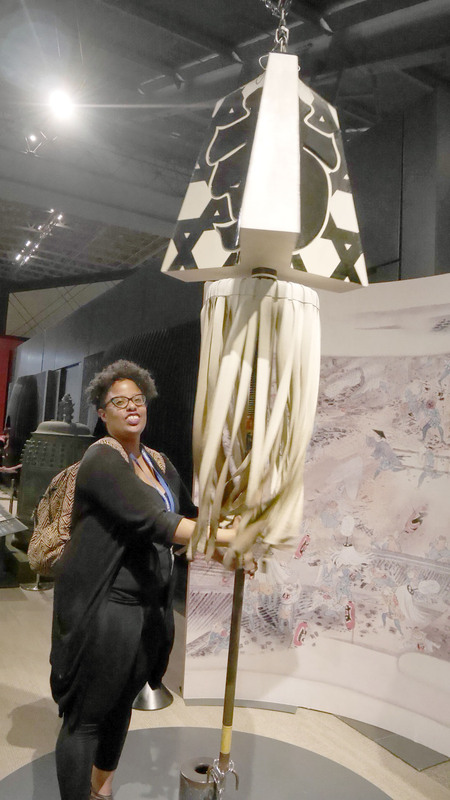 Students were able to see the masterpiece screen depicting the thunderstorm and wind go they studied in their lecture on Japanese Art, in addition to stunning examples of samurai armour, weaponry and pottery. 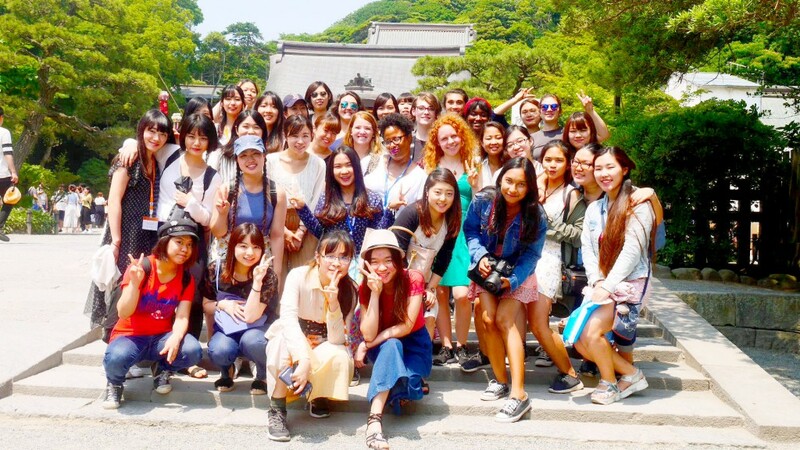 At the end of the afternoon visit, participants were free to explore the congregation of other neighbouring museums or Ueno zoo if they so wished.